Will this facelift be more than just skin deep? 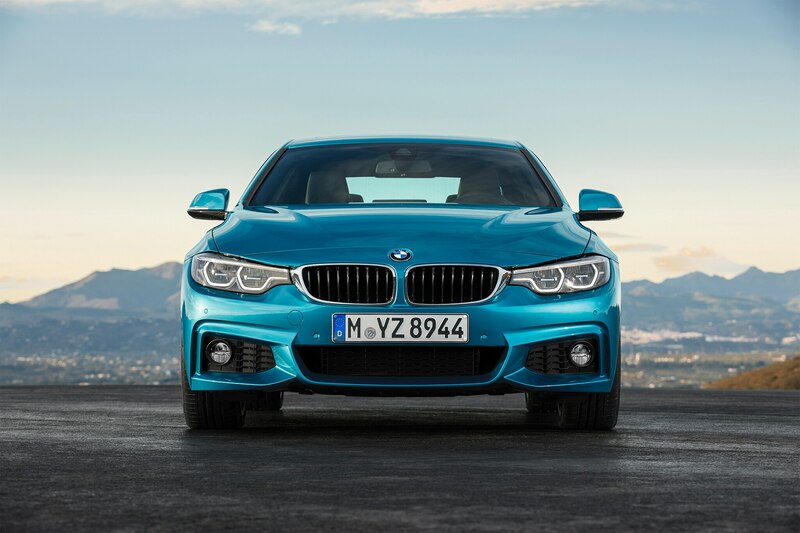 It’s the most dreaded of car launches: the mid-life facelift. 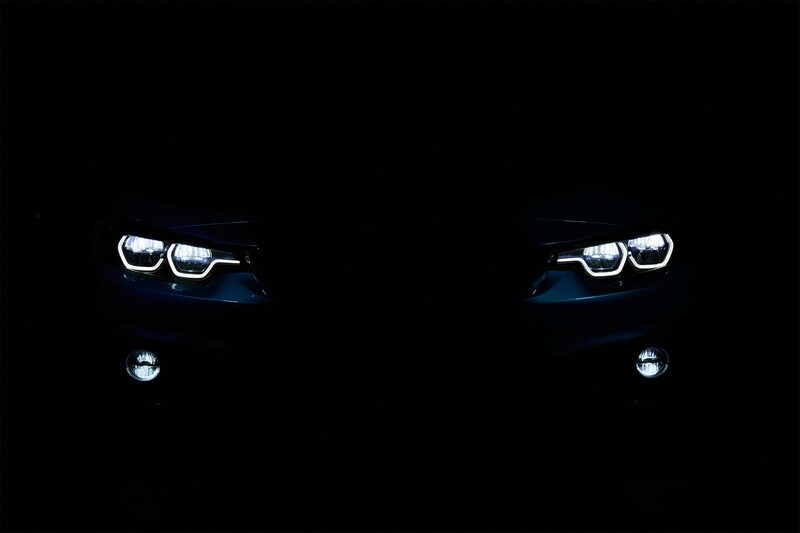 They all run to the same routine. 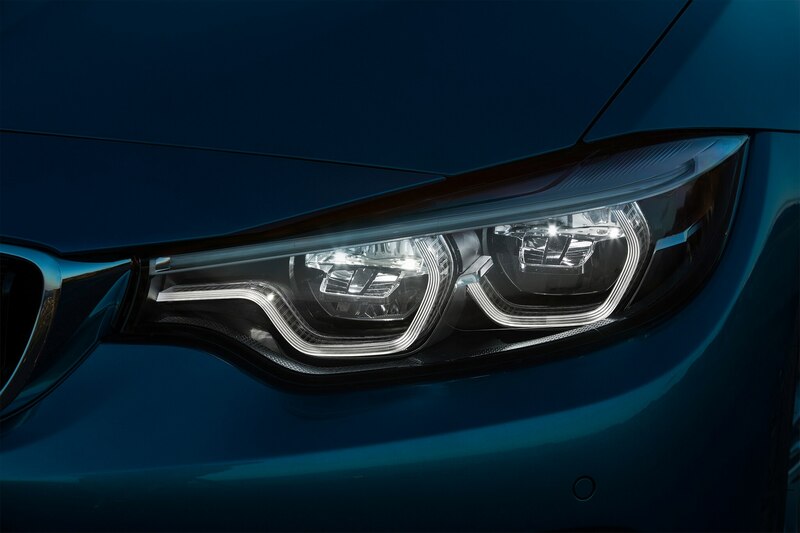 The press conference is long and confident. 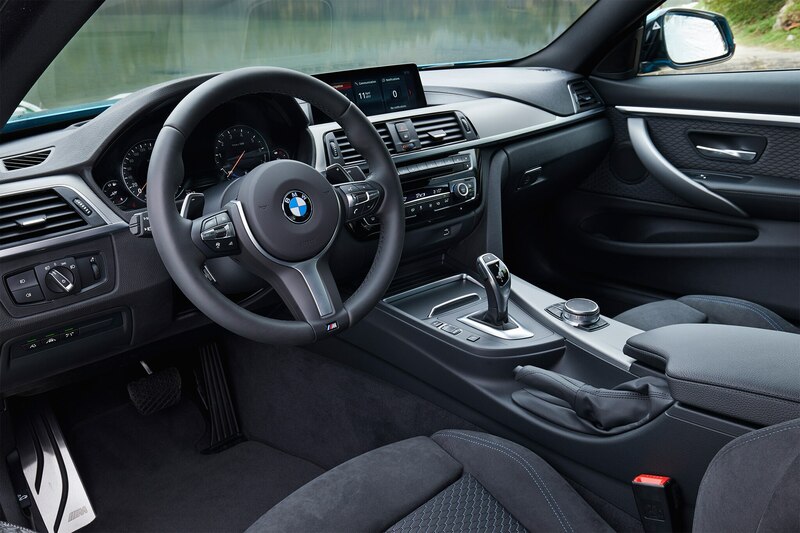 Various speakers describe nuanced differences in design, suspension setup, and interior materials as though this model is completely different from the last. 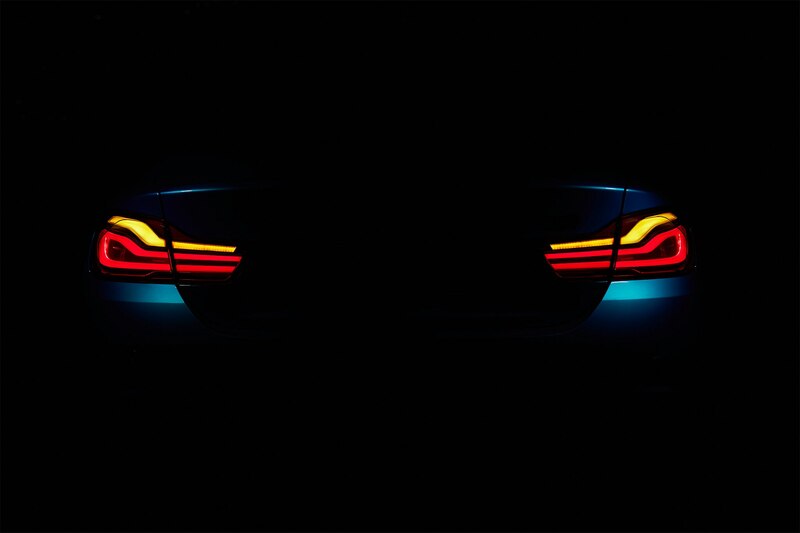 To them – deeply involved in the nip and tuck – the “new” car represents months, sometimes years of hard work. 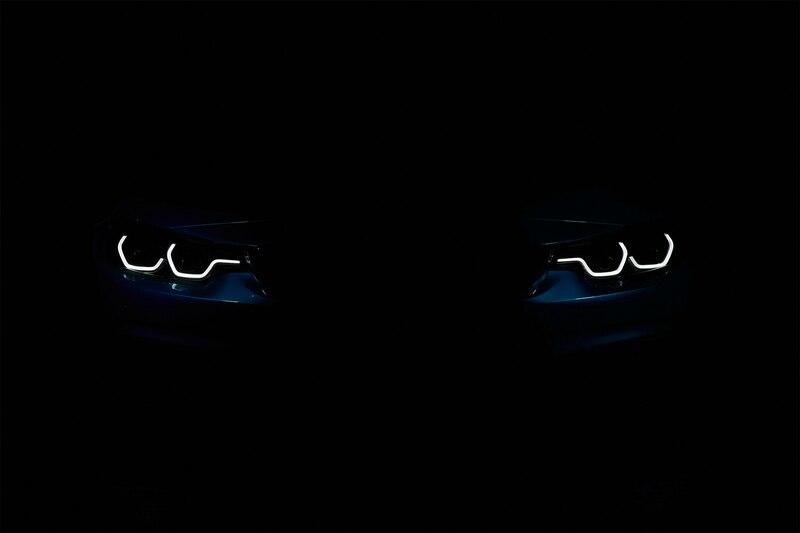 To the assembled journalists? 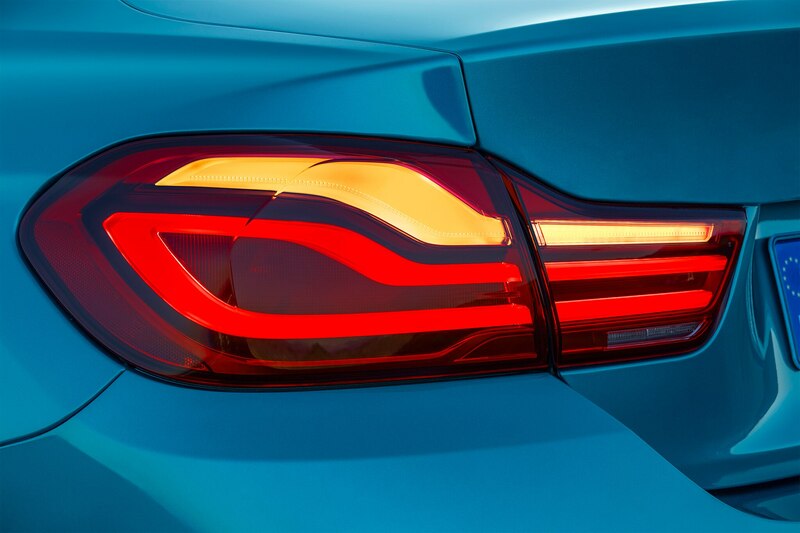 Well, most agree the fancy new LED lights look cool. 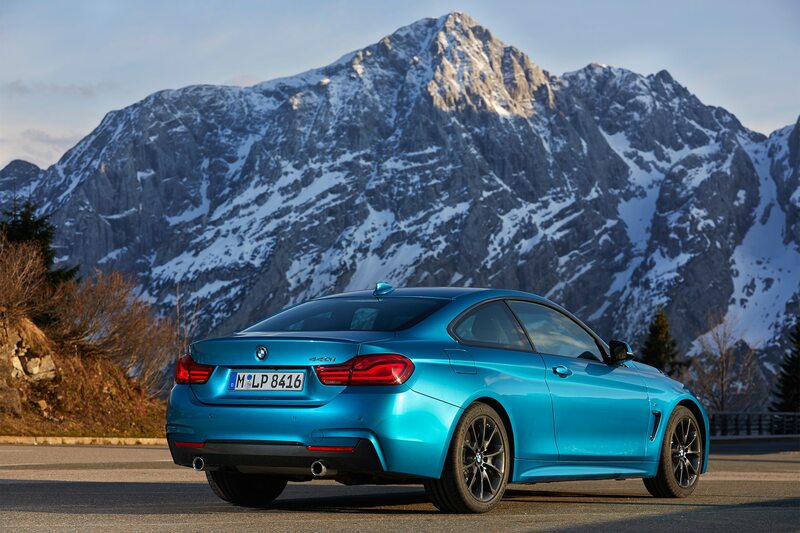 The 2018 BMW 440i Coupe and its less powerful four-cylinder 430i Convertible cousin are my latest facelift nemesis. 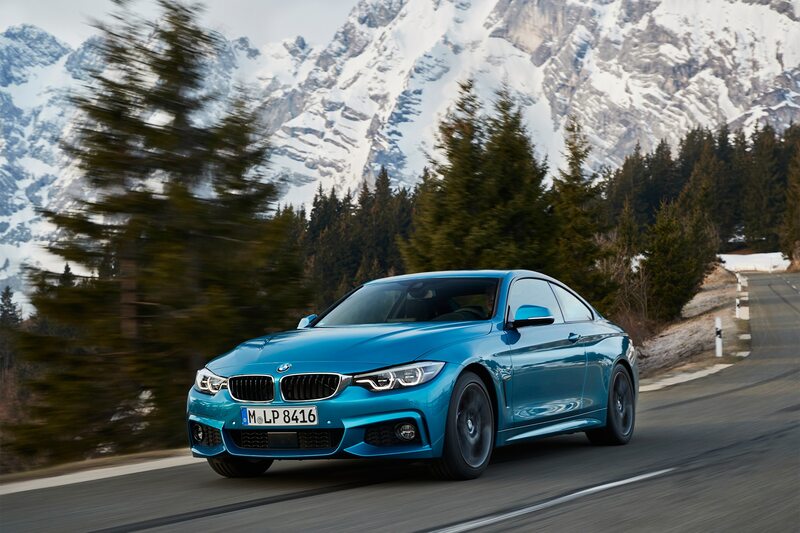 The list of updates and modifications is extensive and includes a retuned suspension with more aggressive dampers, recalibrated power steering, and new programming for the car’s stability, traction control, and ABS systems. 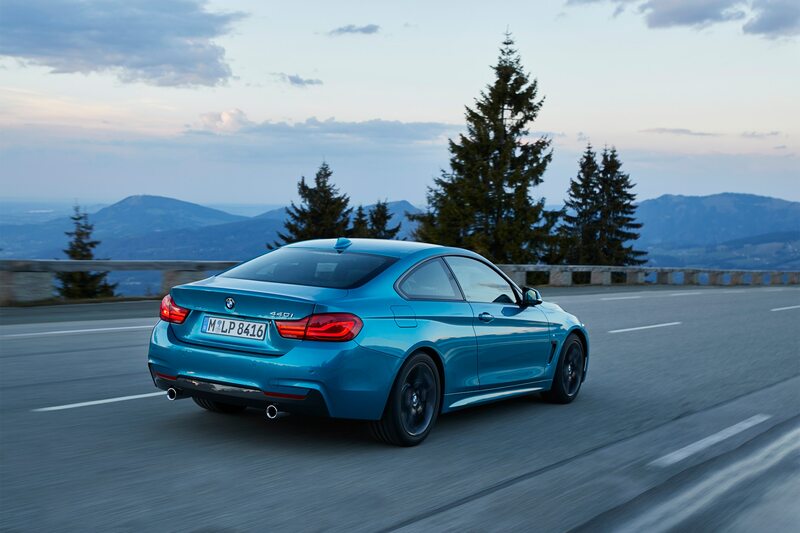 The aim was to create a more nimble and sporty driving experience to match the superb performance of its 3.0-liter single turbocharged straight-six, which pushes out 320 hp at 5,500 rpm and 330 lb-ft from just 1,380 rpm to 5,000 rpm. 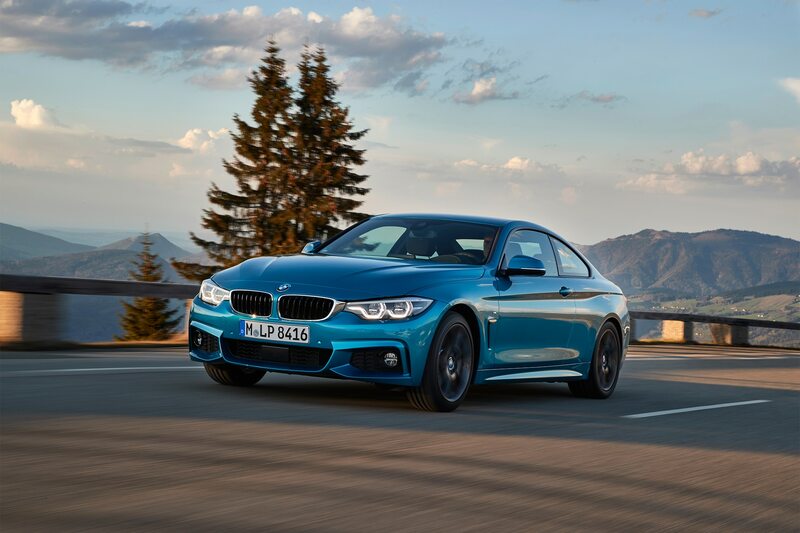 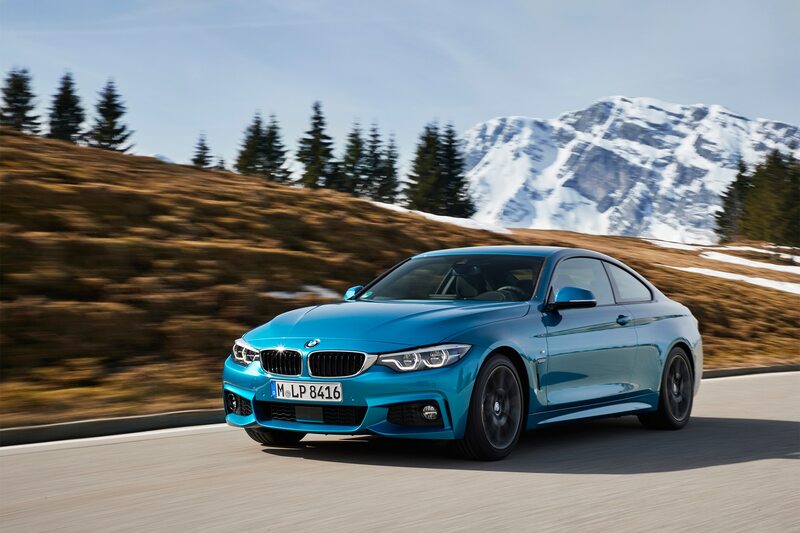 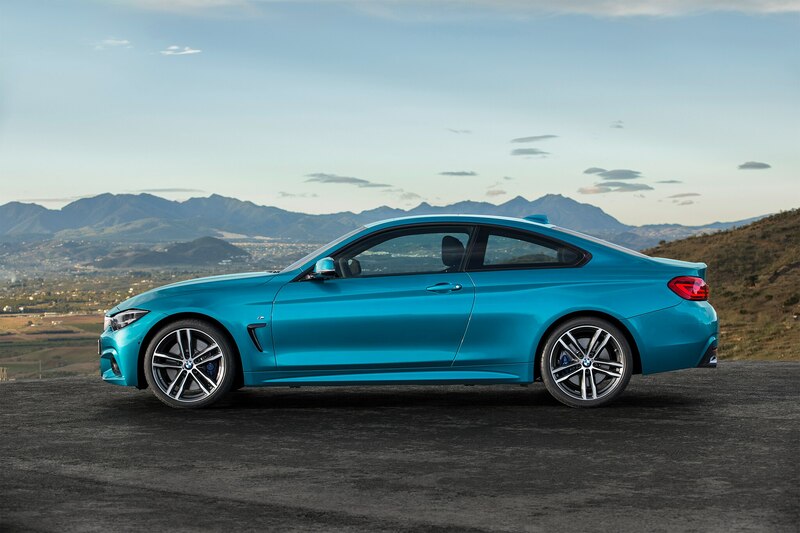 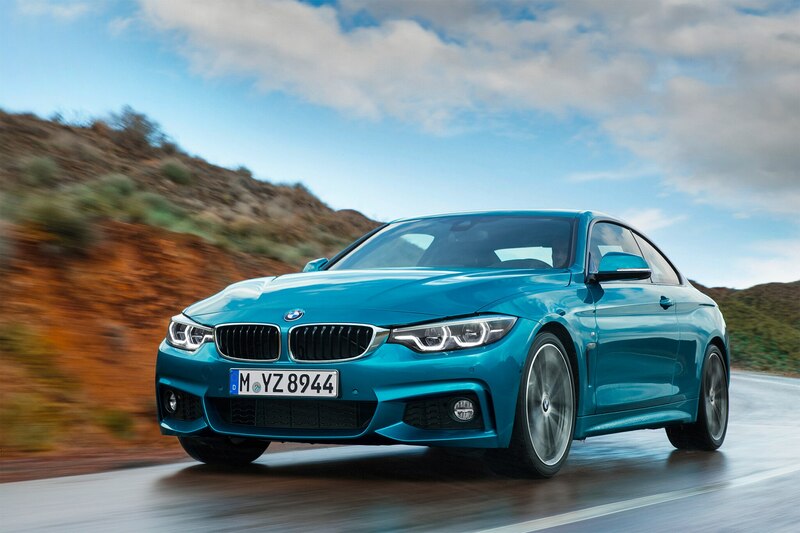 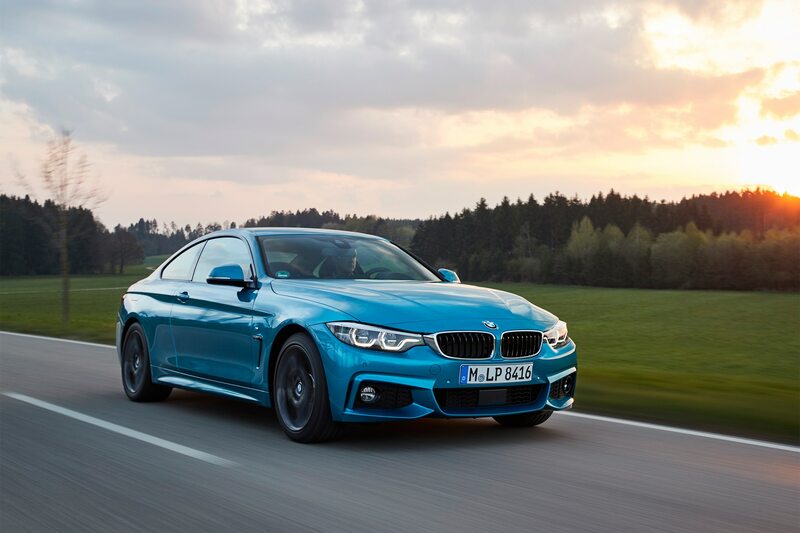 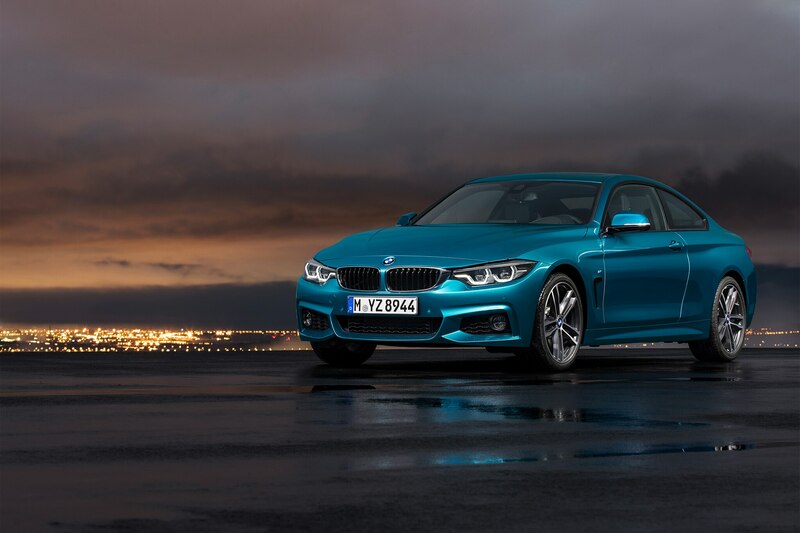 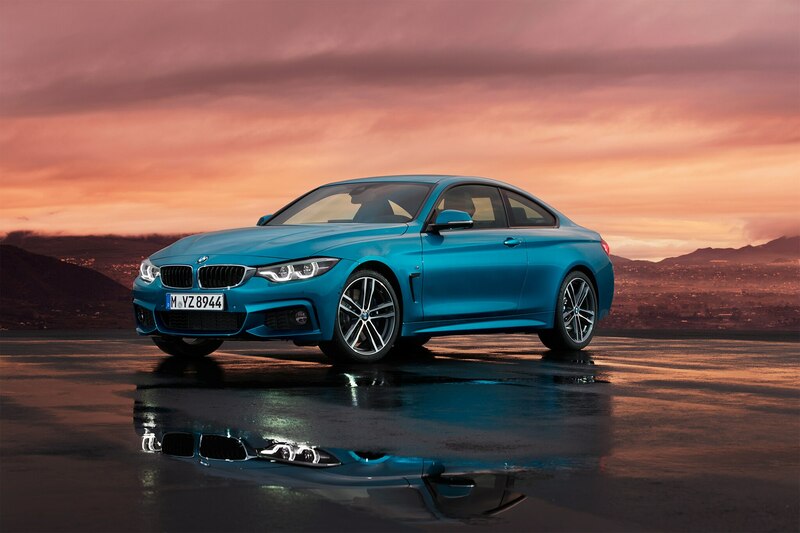 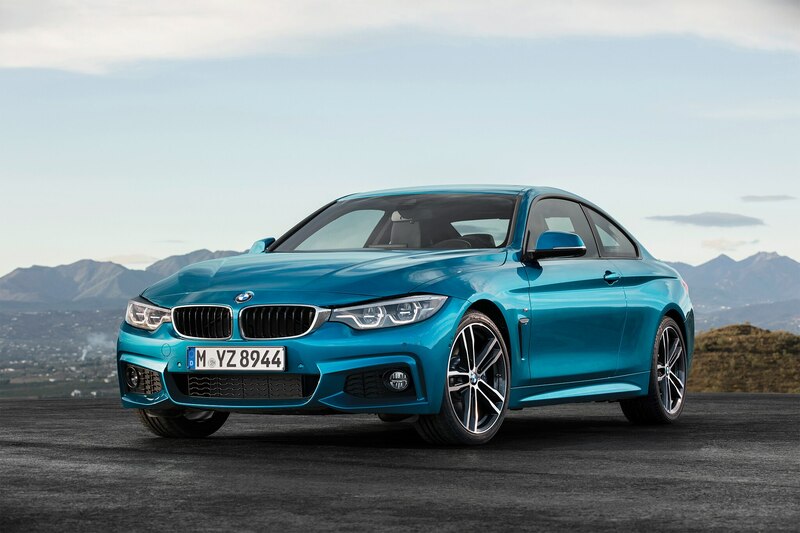 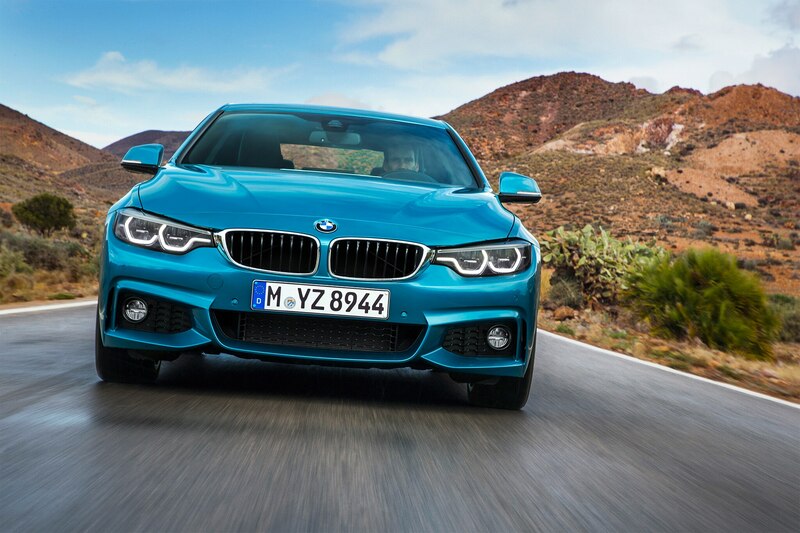 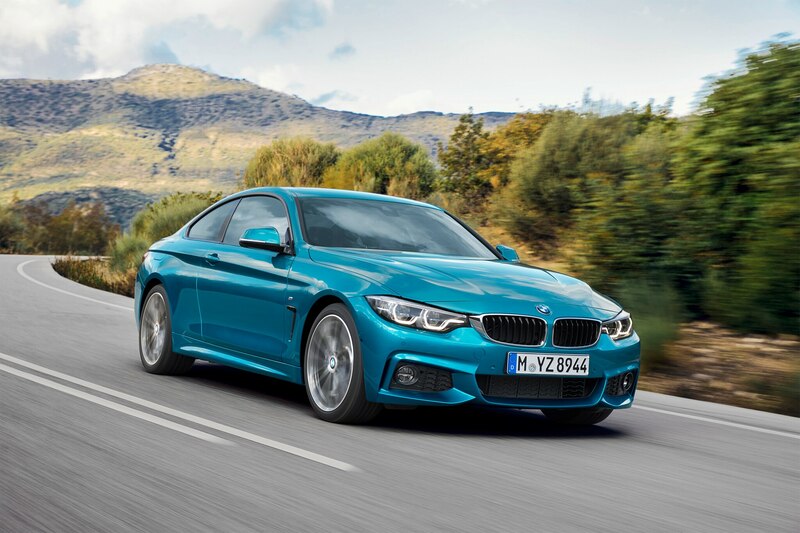 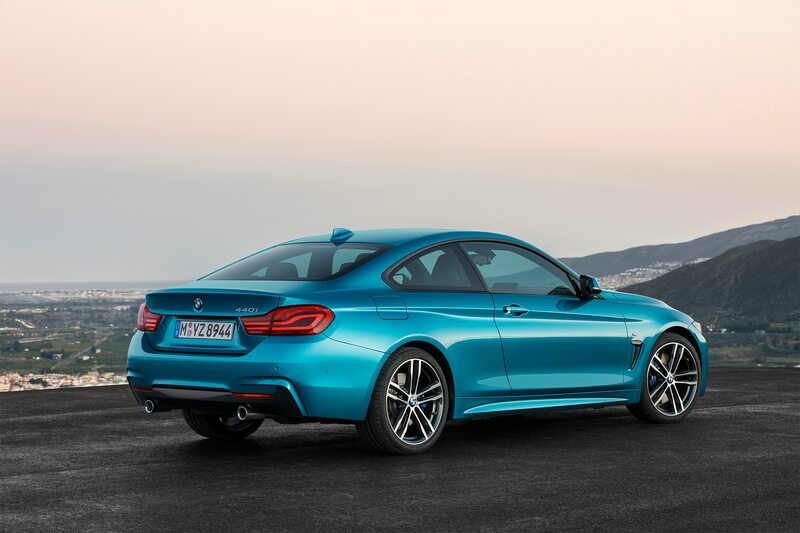 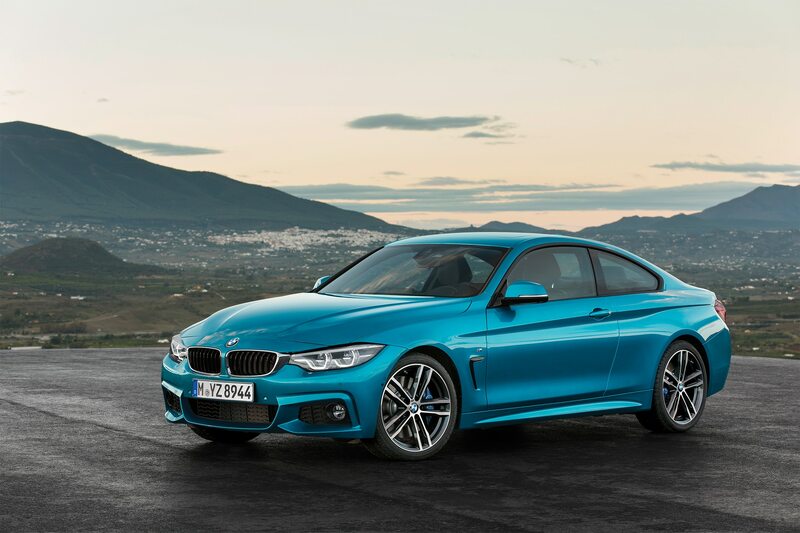 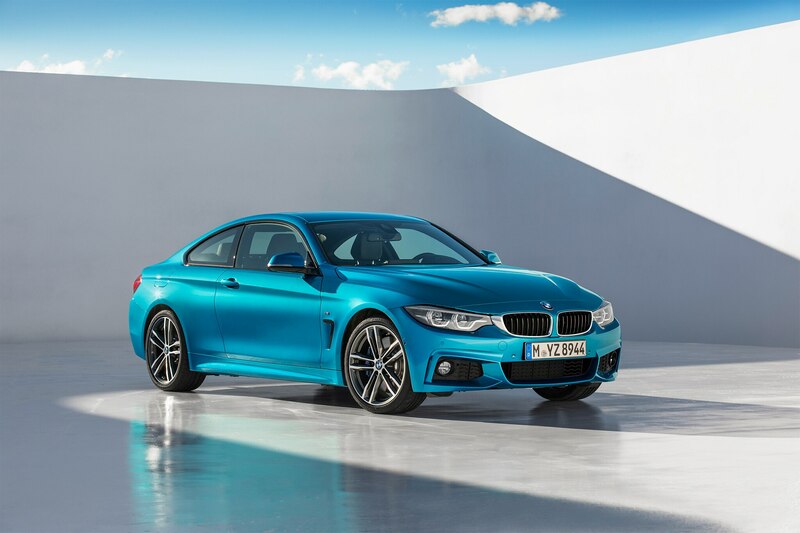 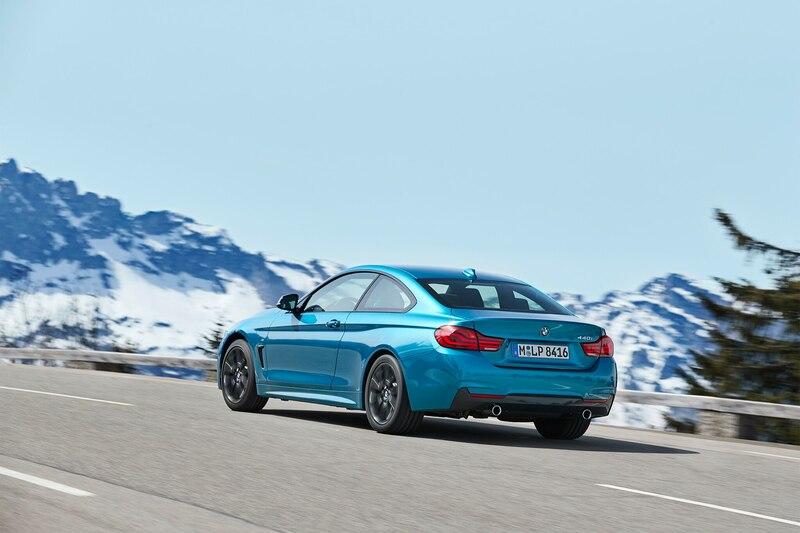 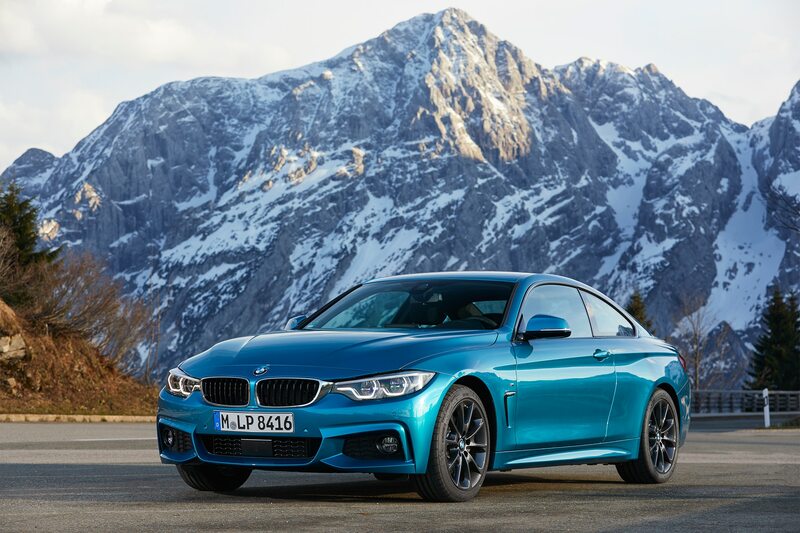 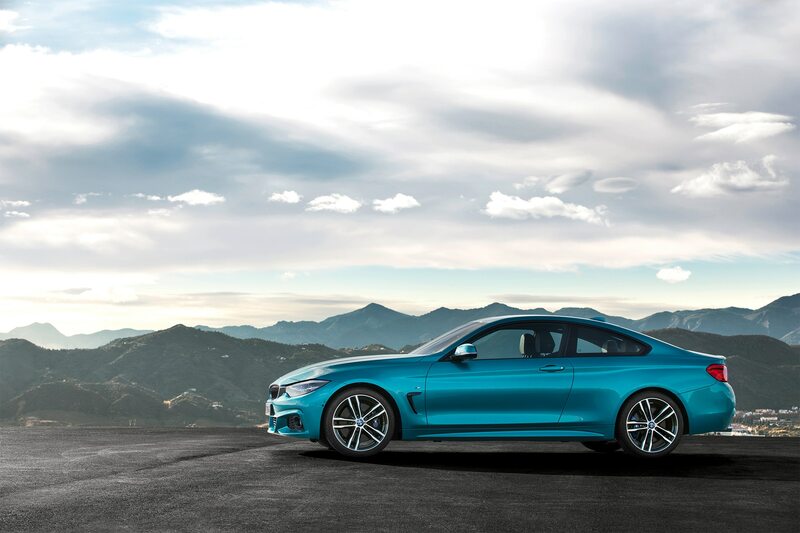 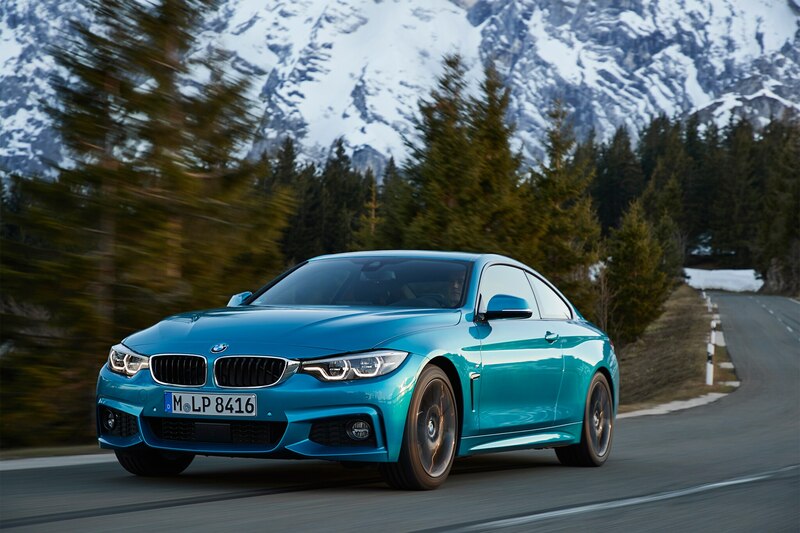 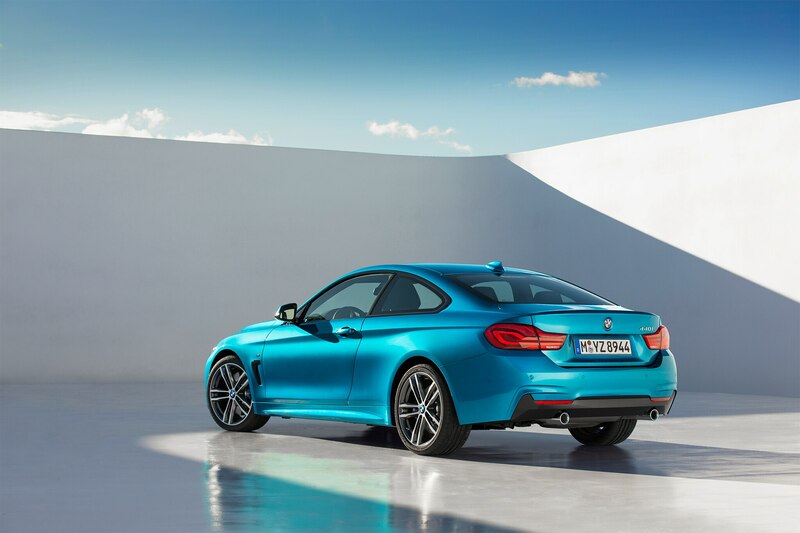 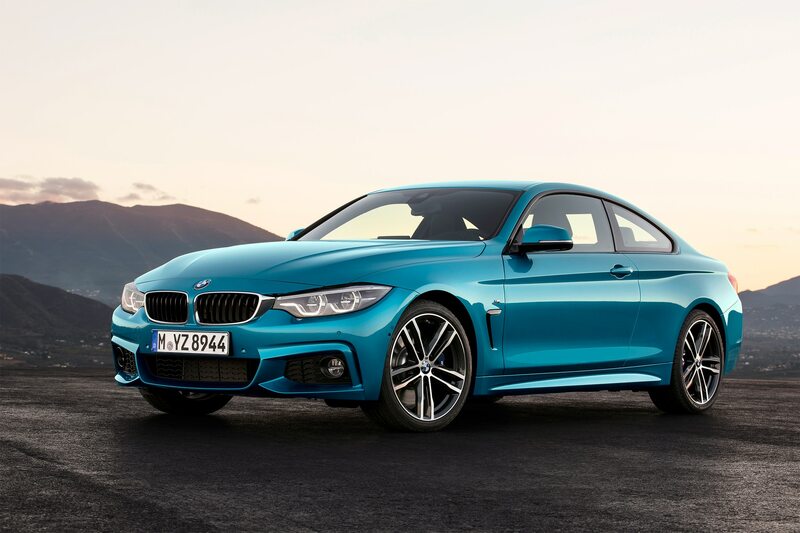 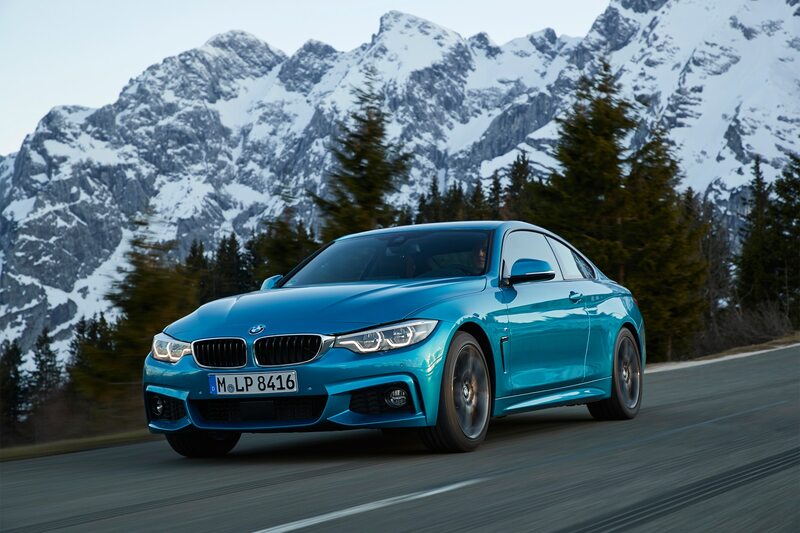 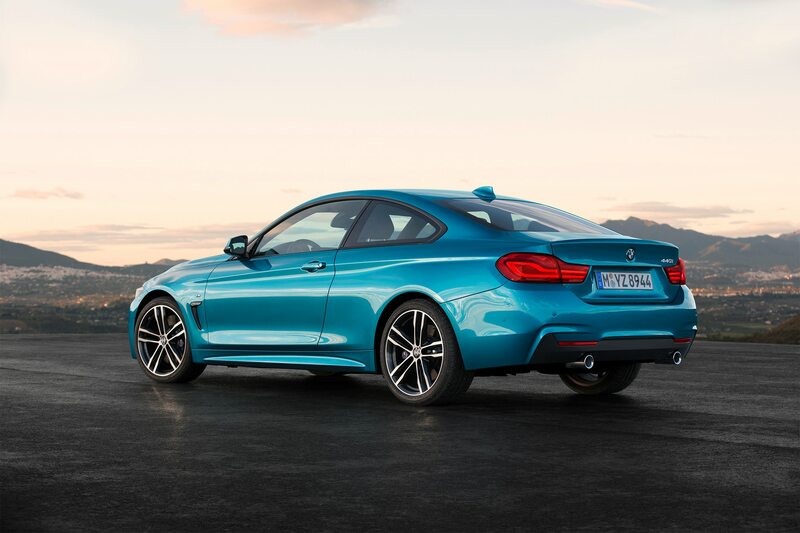 The 440i Coupe comes with a six-speed manual standard or an optional 8-speed automatic that cuts the car’s 0-to-60 mph time by a tenth to 4.8 seconds. 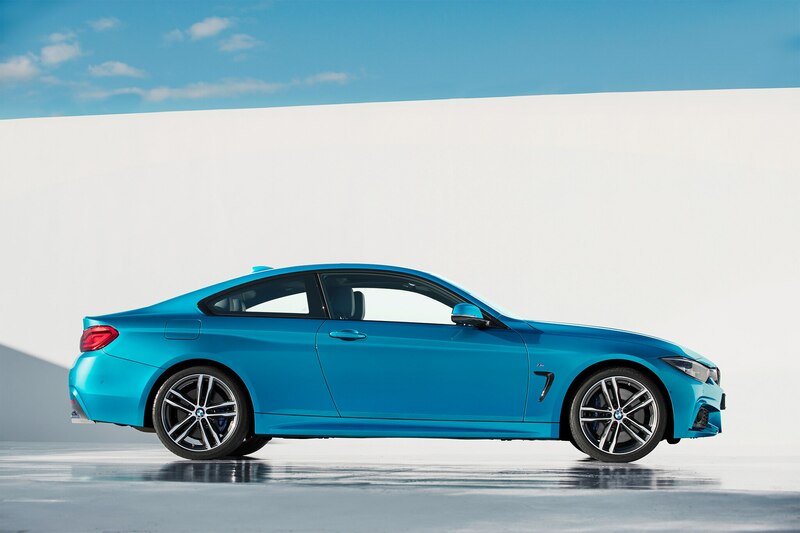 It starts at $49,695 and is also available with BMW’s xDrive all-wheel drive system for two grand more. 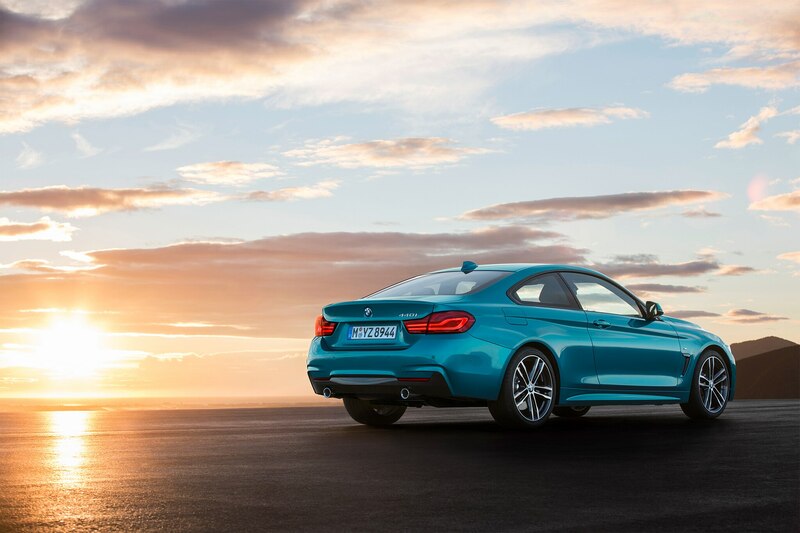 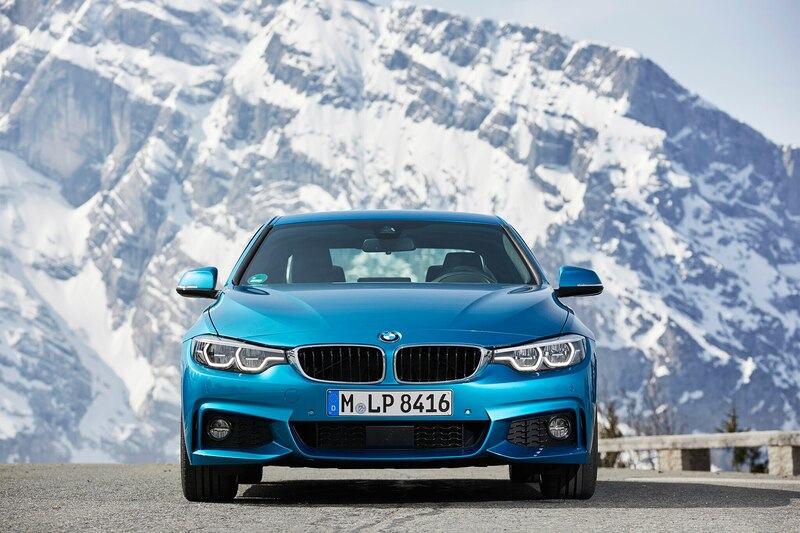 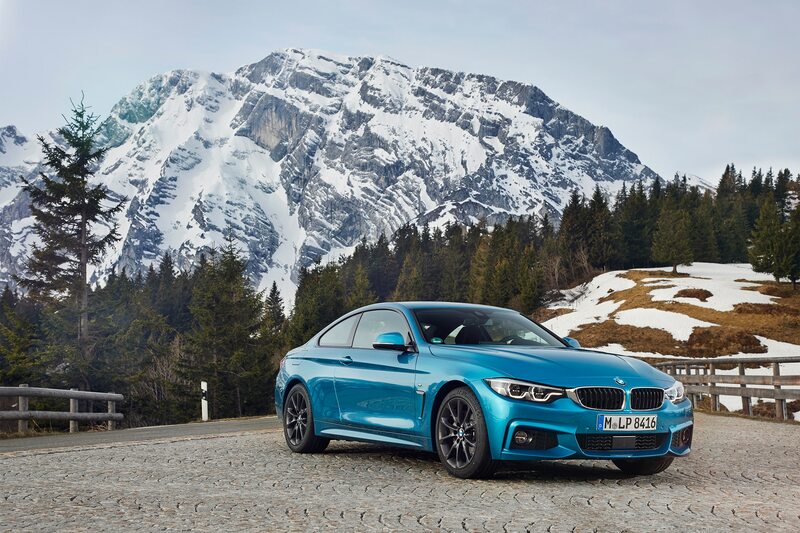 Aside from the dynamic changes, the 4 Series has been given a mild external makeover with a more aggressive nose including a bigger central air intake, while at the rear its elongated forms and new light clusters emphasize the coupe’s wide track. 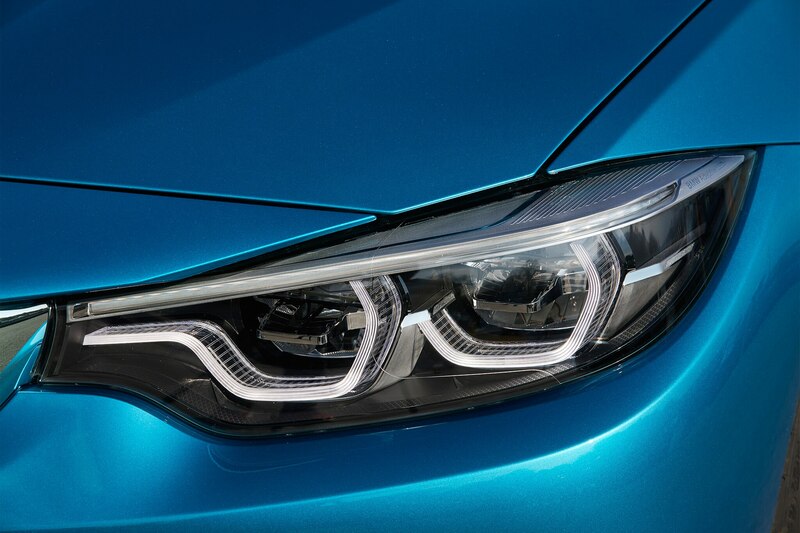 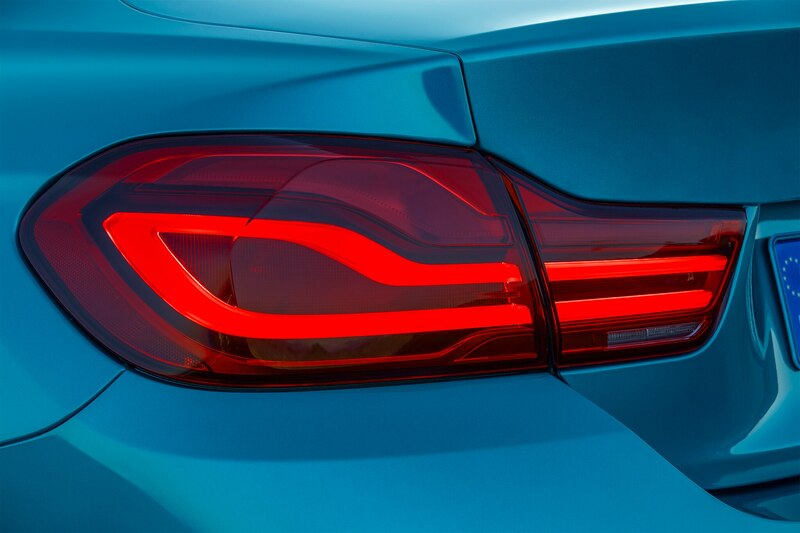 And yes, you can now get full LED lights, too. 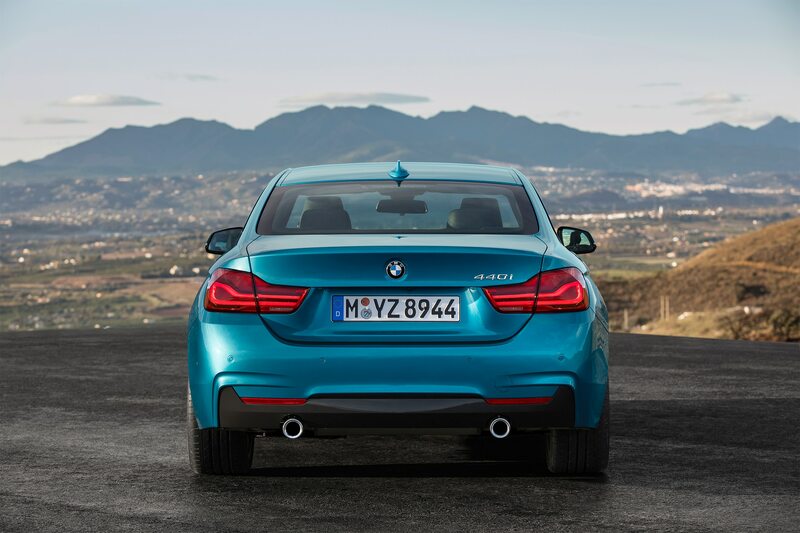 The big question is will all this add up to a more dynamic driving experience? 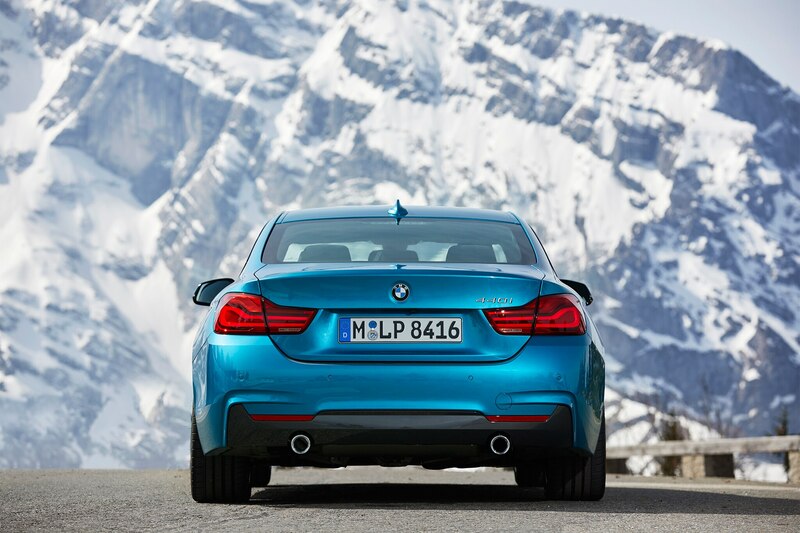 And on unfamiliar roads a long way from home, will I even notice? 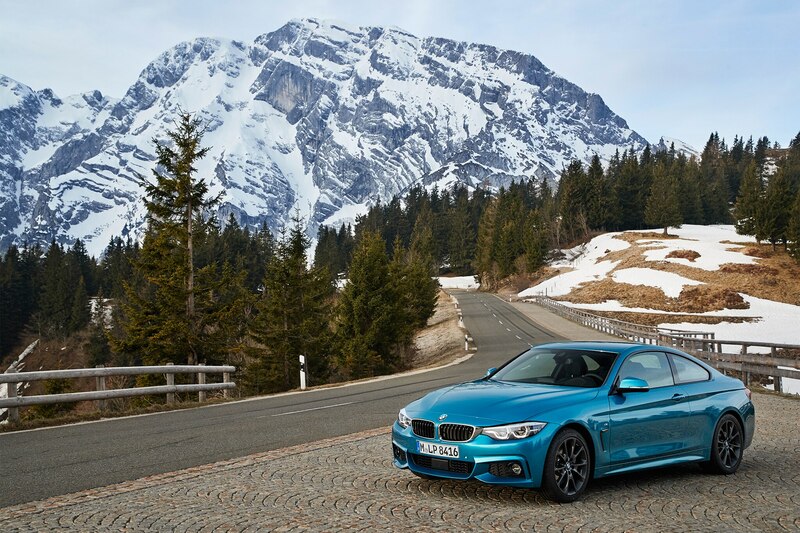 It’s been made even more trying by the fitment of winter tires due to snow and heavy rain circling Munich, Germany. 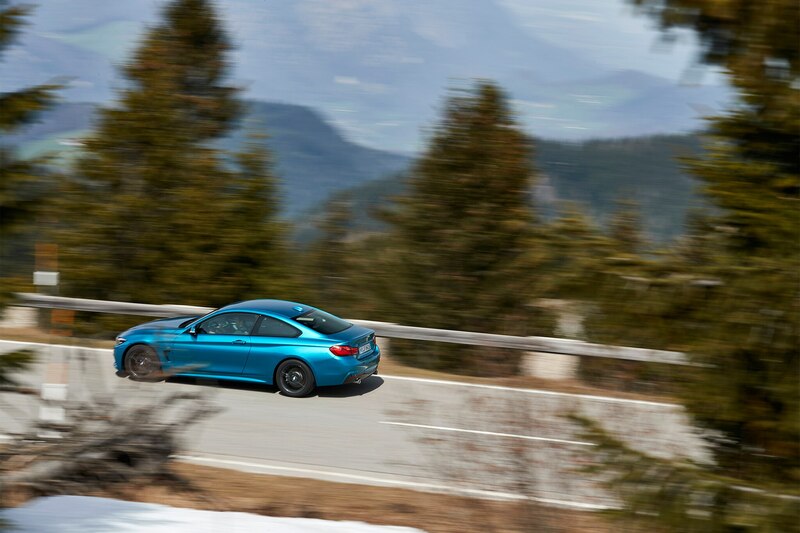 That means bigger sidewalls, less responsiveness – and if the roads do dry out – a lot less grip. 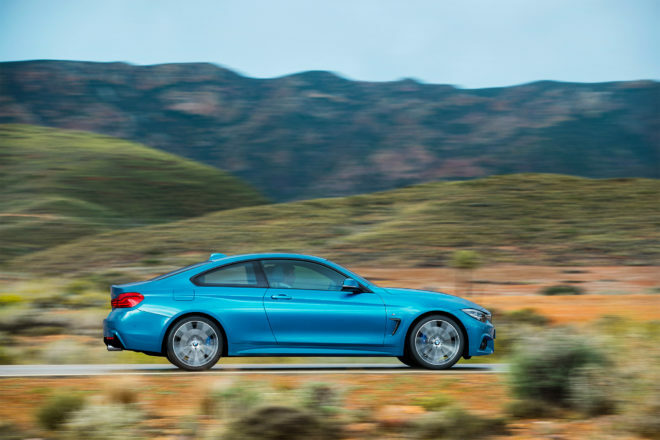 We’re driving a 440i Coupe (the convertible’s suspension remains unchanged but it does get revised EPAS/DSC) in a guise that’s essentially equivalent to the U.S.-spec “Track Pack” car. 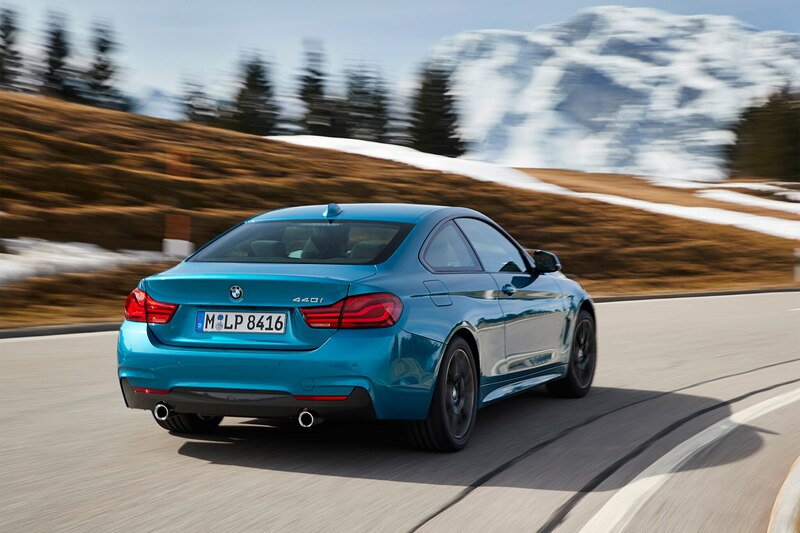 That means M Sport suspension, upgraded brake pads, and non-runflat Michelin Pilot Super Sport tires on 19-inch wheels. 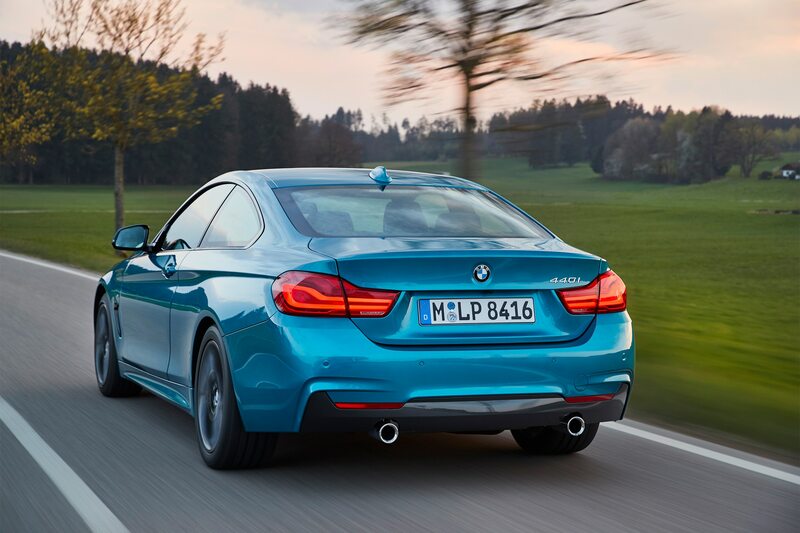 So to assess whether BMW has ramped up the excitement we’re in the right car, albeit it on the wrong rubber and smaller 18-inch wheels. 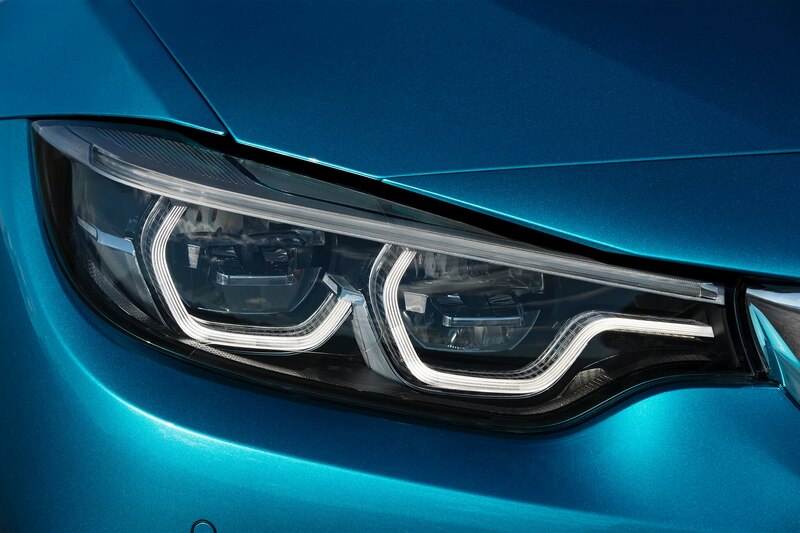 As the engine charms you, other details start to flood in, building a picture of a cohesive car. 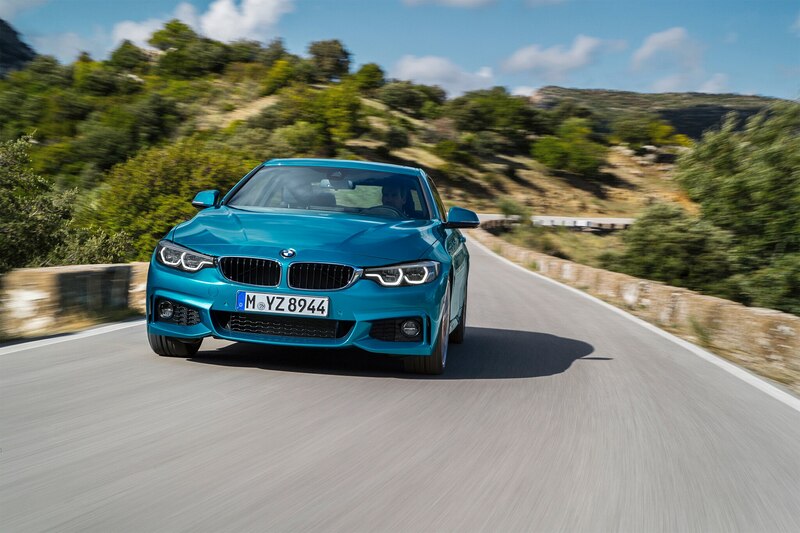 The steering feels super-clean and even has some detail bubbling back through it, and the way the 440i changes direction breeds an immediate confidence. 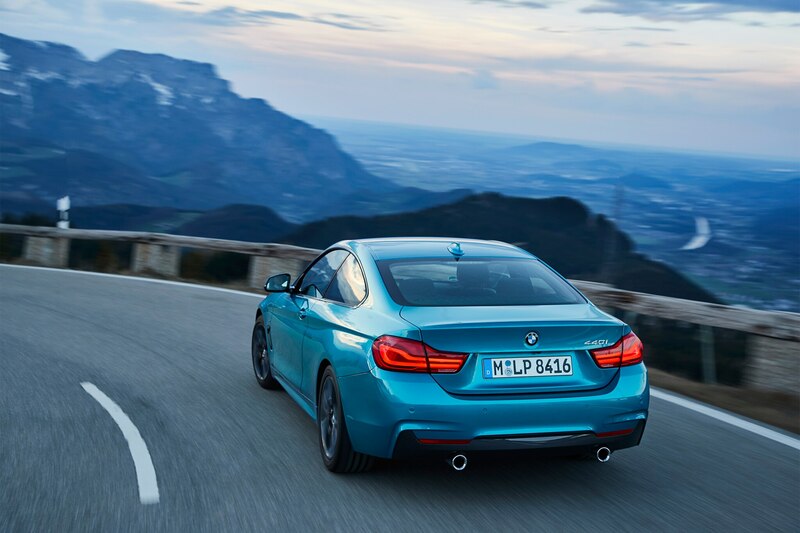 It’s decisive but never overly pointy and very soon you simply relax your grip of the wheel and let the car take the strain. 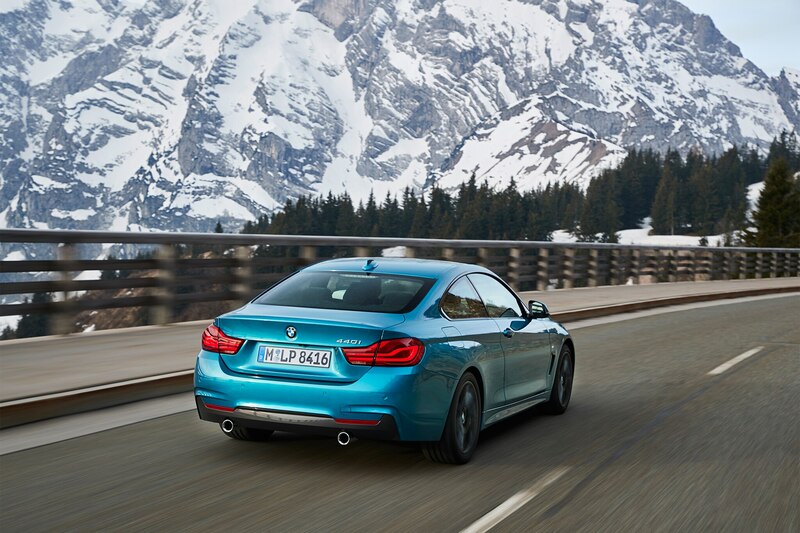 On the autobahn that easy poise and tight control makes cruising at close to the winter tire’s 124 mph limit seem entirely natural. Oh for such enlightenment in the U.S.! 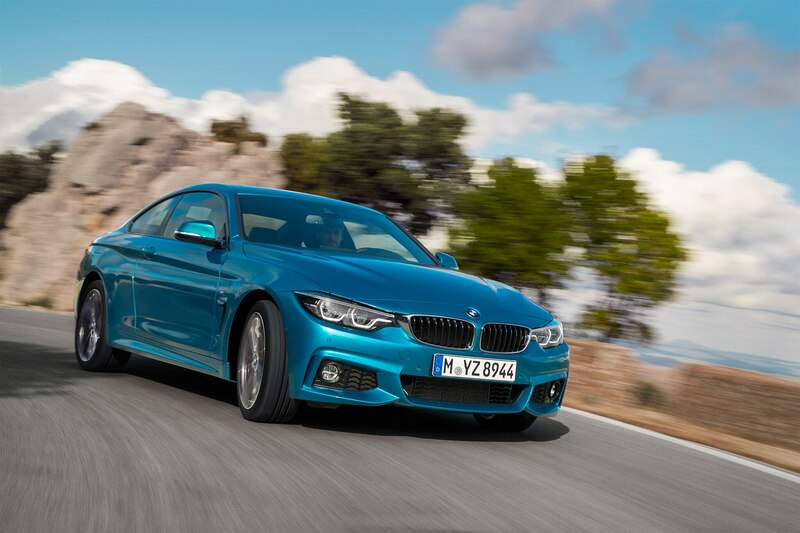 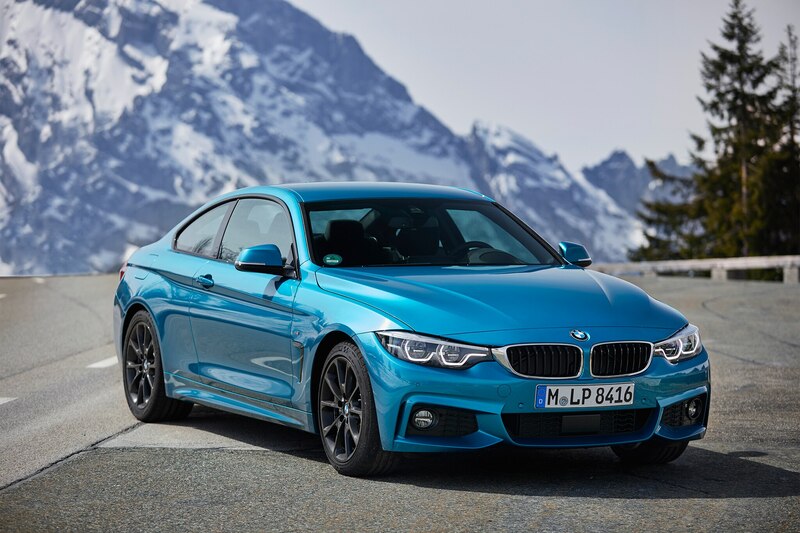 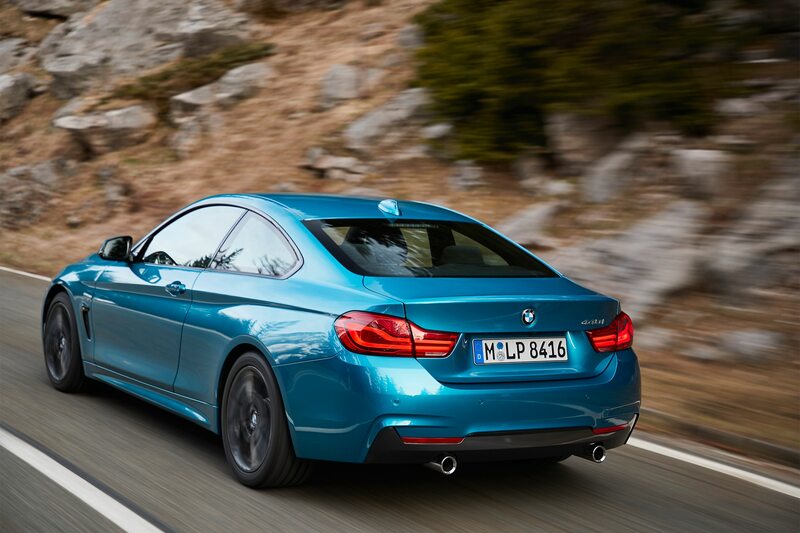 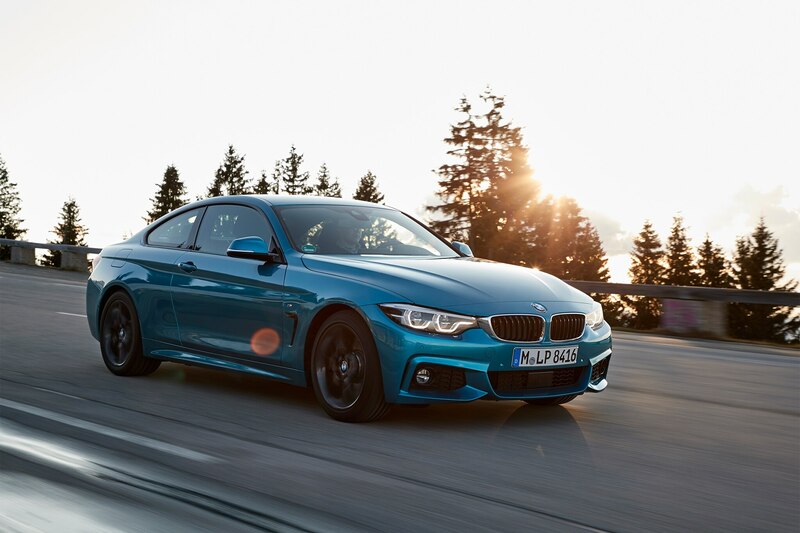 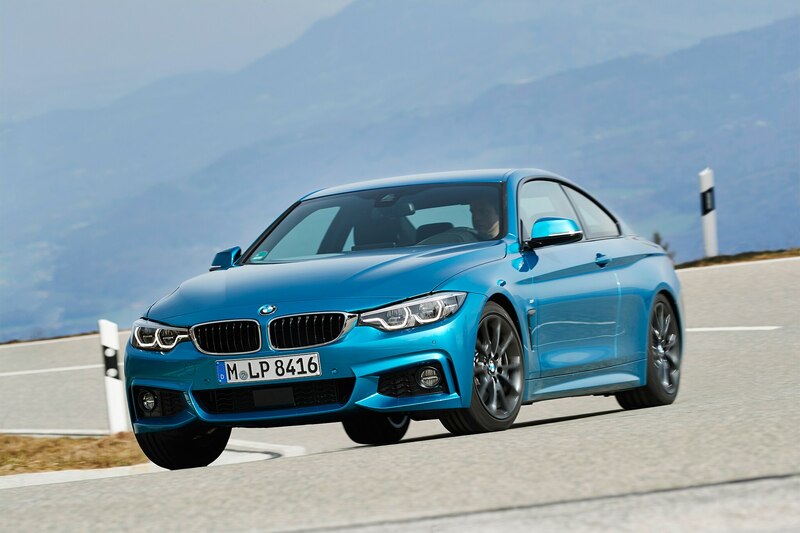 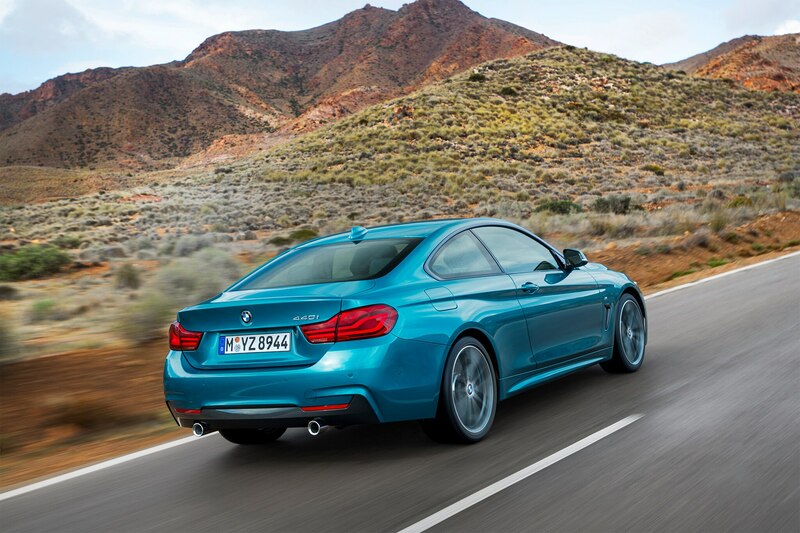 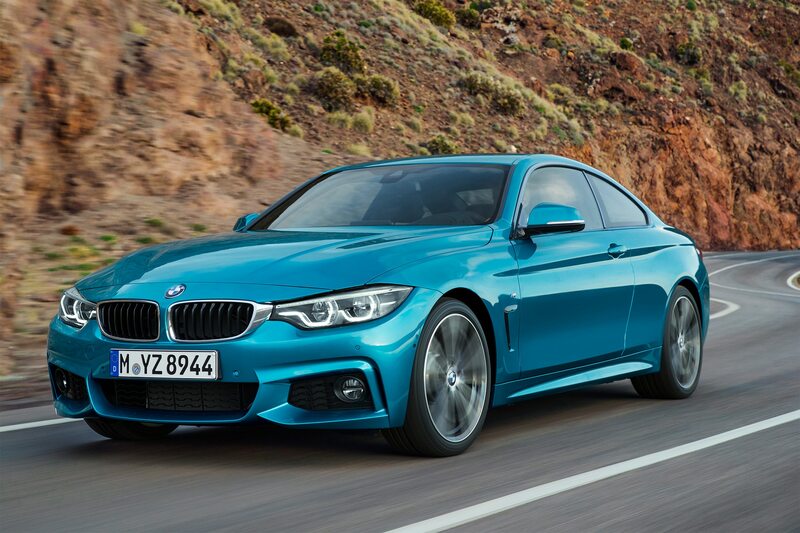 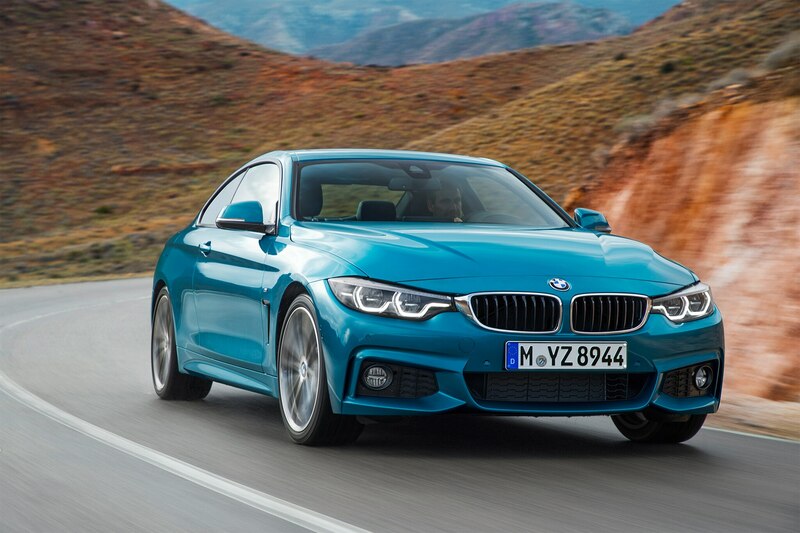 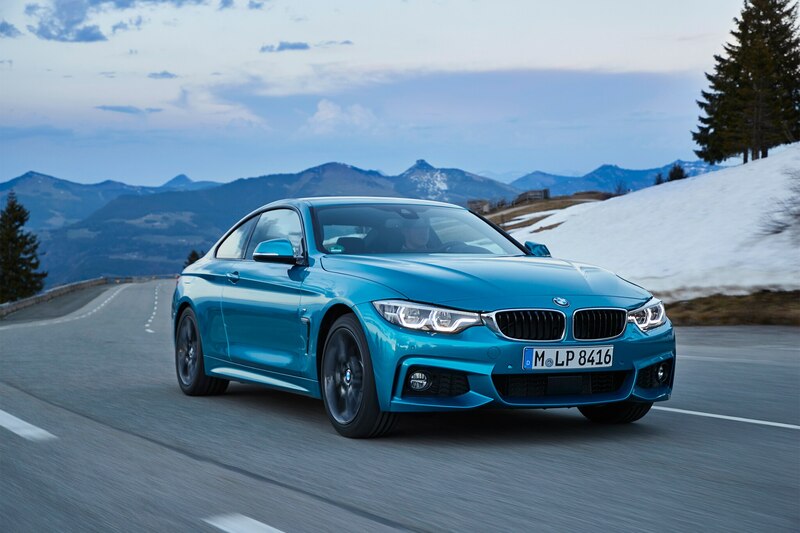 By the time the BMW 440i Coupe is carving through the off ramp, I’m pretty sure I’m going to like it. 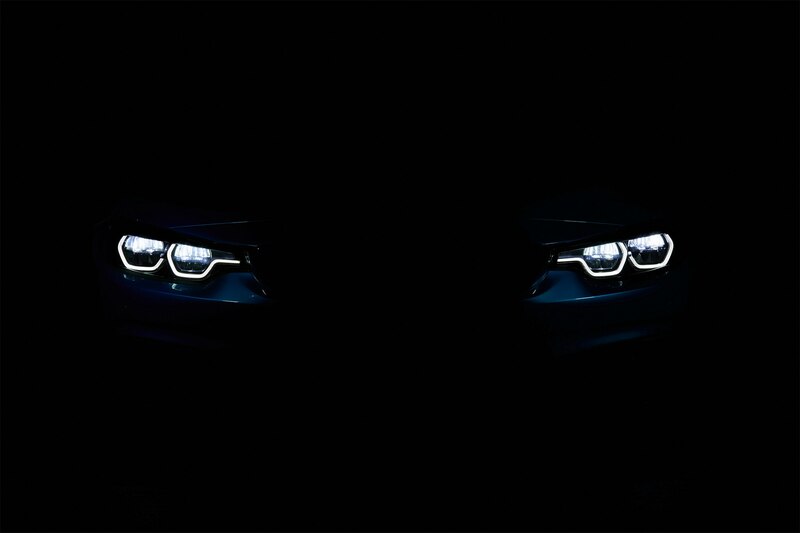 I’m still wary, though. 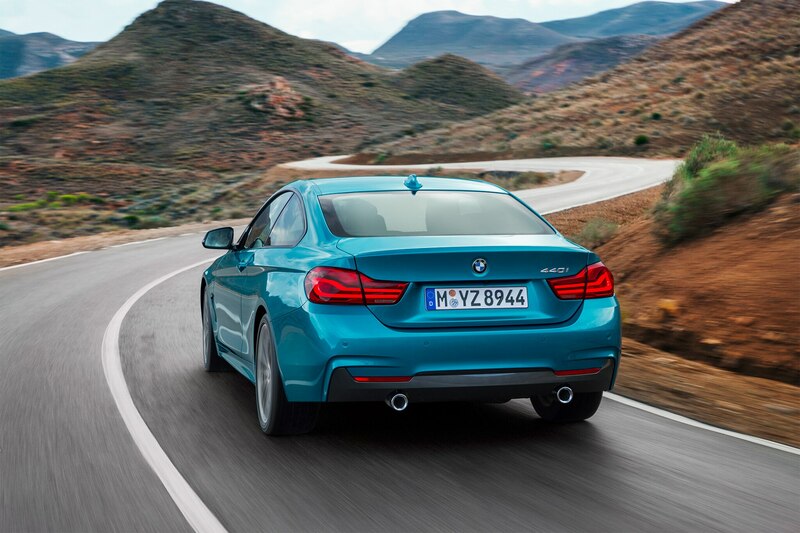 In my experience the polished drivetrain and excellent refinement of the F32 4 Series can suddenly be undermined on more challenging roads. 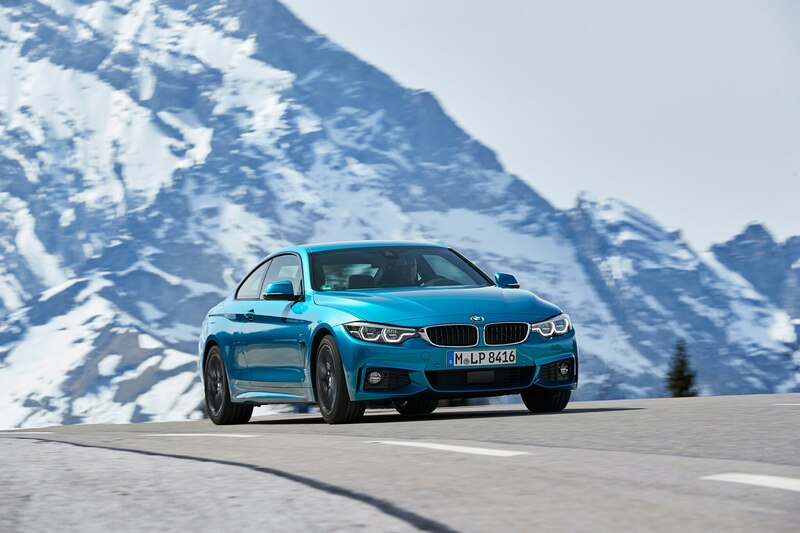 Push too hard and despite its strong body control the wheels start to skip and hop in the arches as the traction control claws at the power delivery with sharp-edged interventions that feel clumsy. 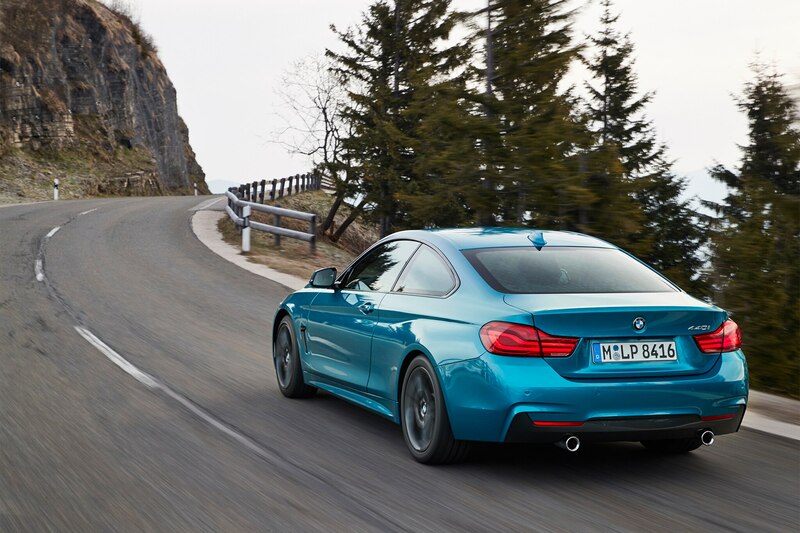 Will the updated 440i’s revised dampers and electronic programming knock those rough edges off and let the car’s natural balance shine? 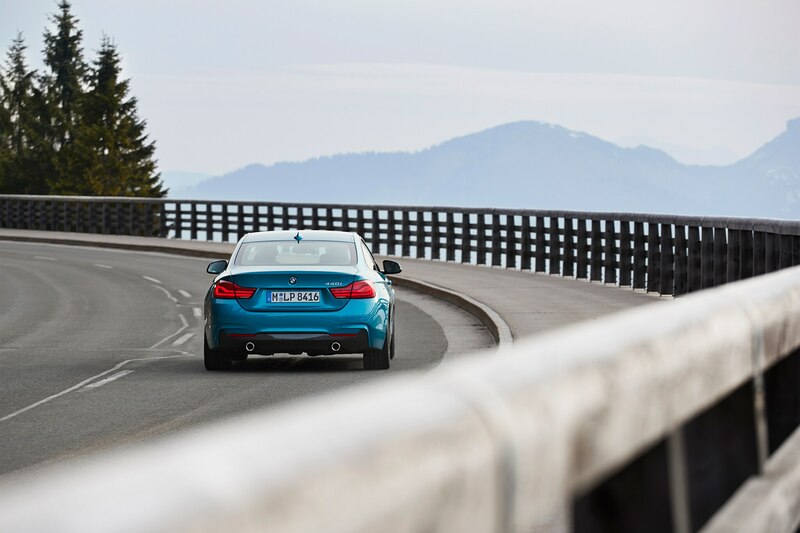 Certainly, the car feels keener to attack a decent stretch of road. 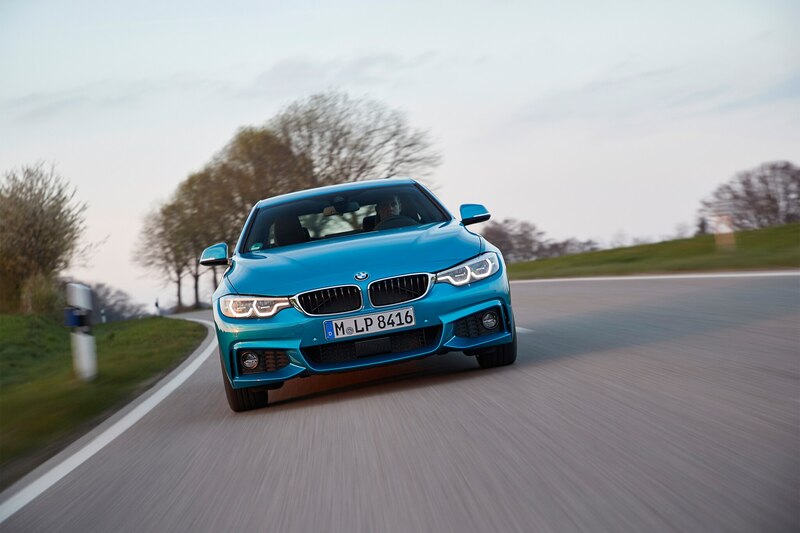 The steering is more responsive and works well with a chassis that’s slightly better at fighting off body roll. 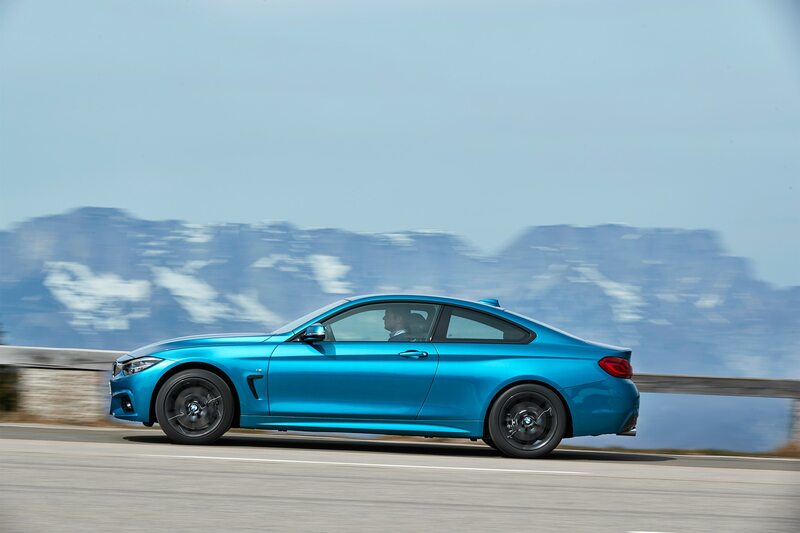 So you turn and the car is right there with you, dampers supporting the body and allowing you to cut clean, accurate lines. 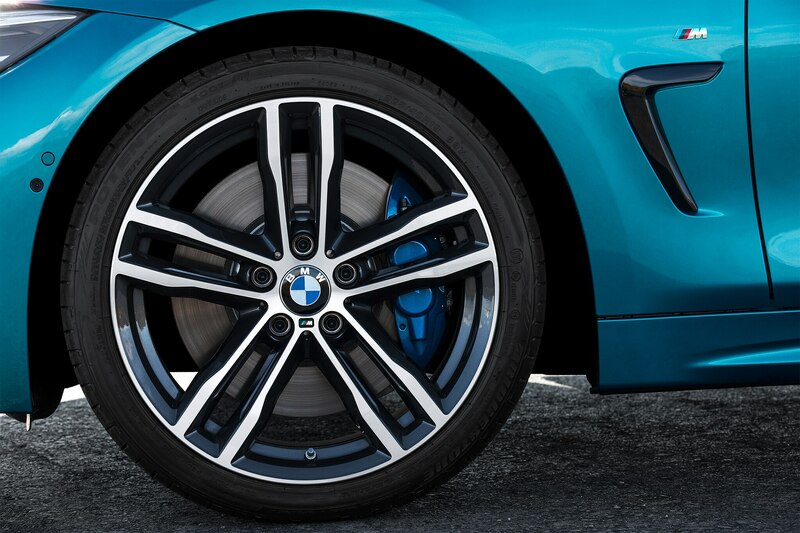 Traction feels stronger, too. 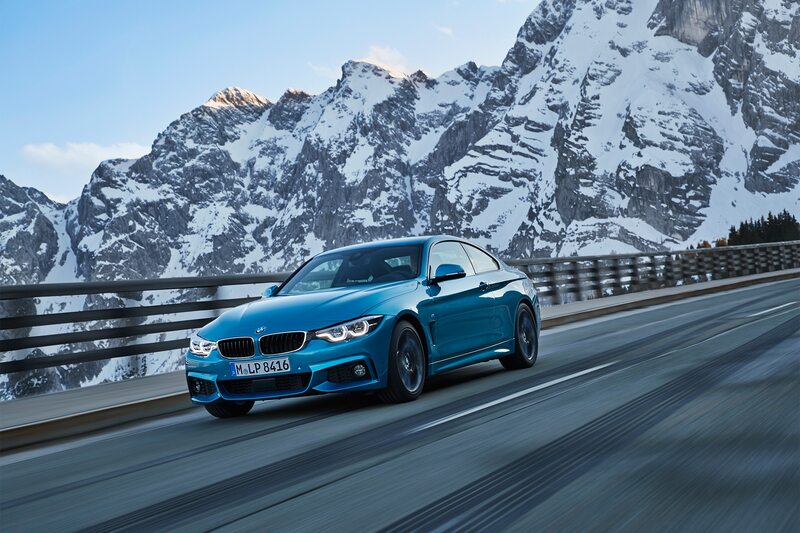 Perhaps it’s just the winter tires working their magic on the cold, wet surface, but there’s definitely less intrusion from the recalibrated traction control system. 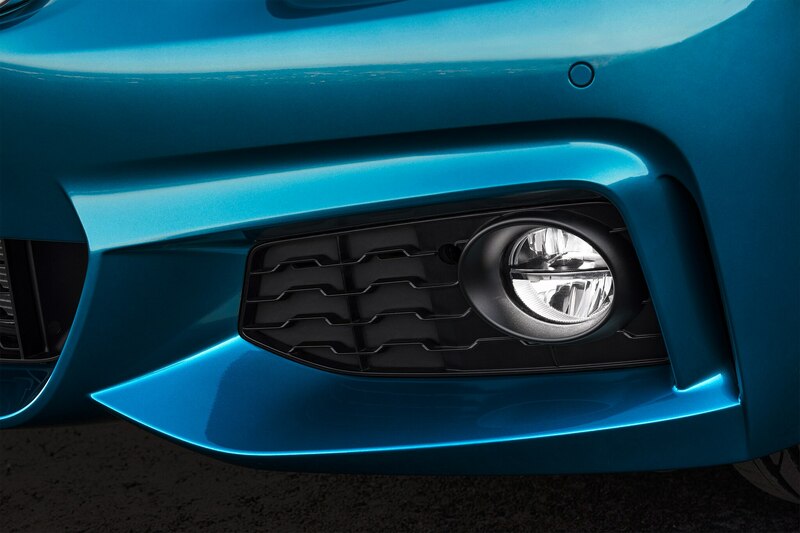 All these little elements merge to form a car that inspires confidence. 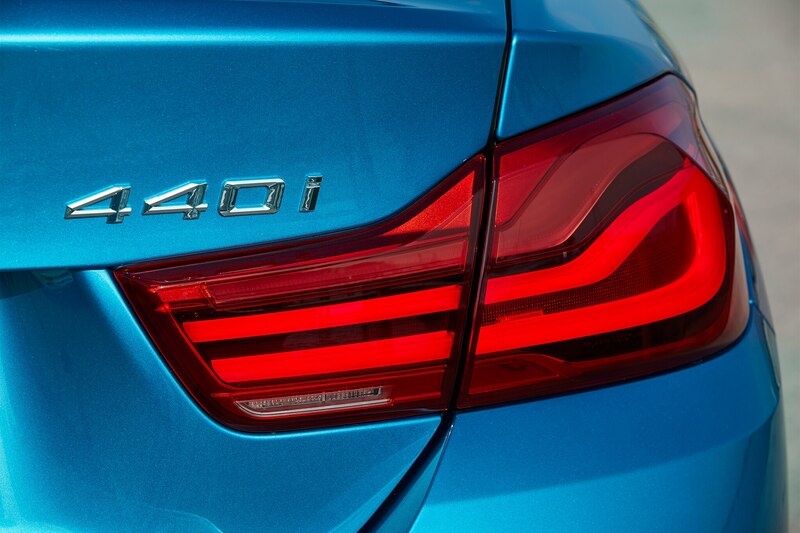 The engine really is a sweet thing, too. 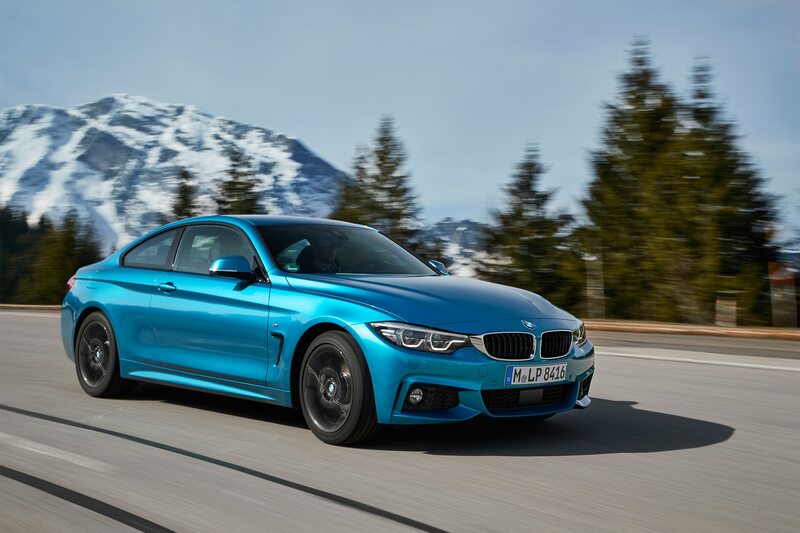 The test cars are fitted with the 8-speed automatic gearbox, which is quick and smooth but doesn’t have that instant pop of a really good dual clutch unit. 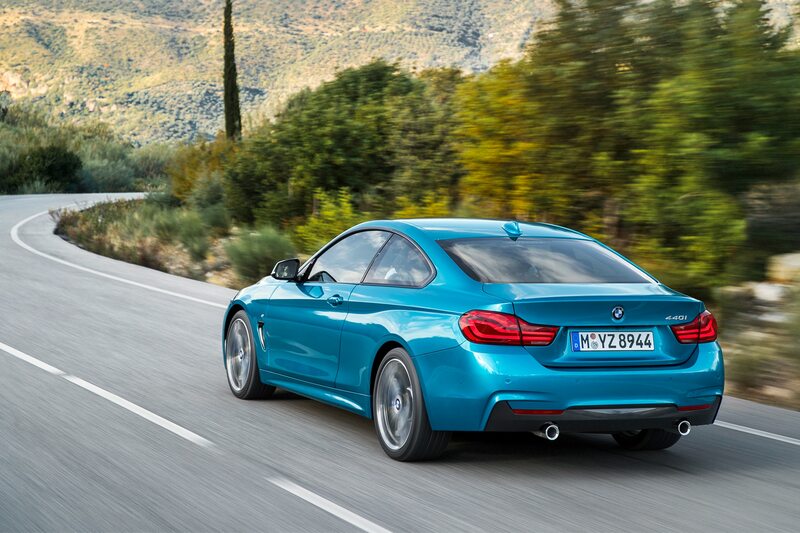 Overall though, the 440i Coupe feels taut and pretty keen to indulge a bit of hard driving. 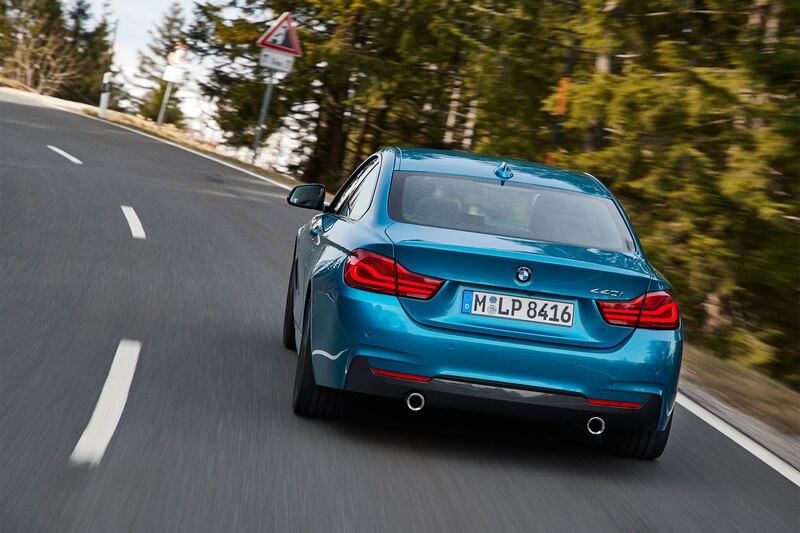 The balance is much more conservative than the slightly wild M4, but there’s always the sense that if understeer does build you’re well-armed to snap the car back into line. 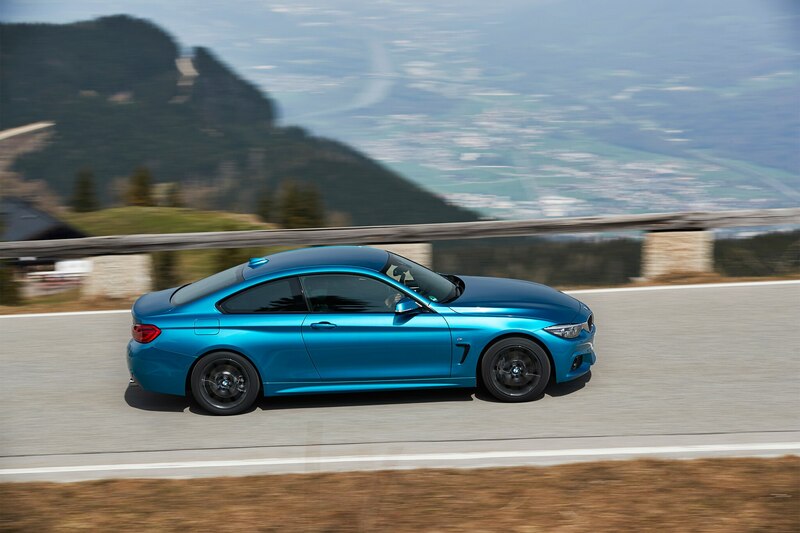 Maybe even tip the balance the other way with a bit more throttle. Or you can just throttle back altogether and enjoy the decent ride quality, smooth drivetrain, and the quality of the cabin. 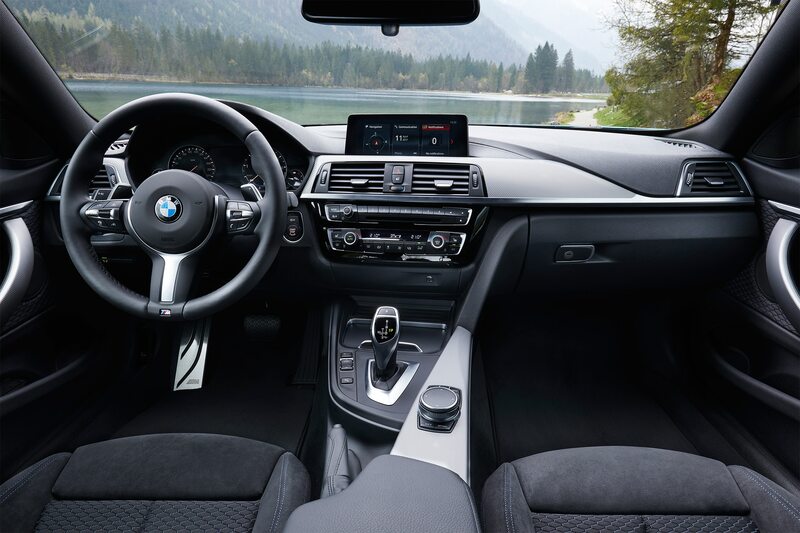 Okay, it doesn’t feel as solidly hewn as an Audi, nor as special as the C-Class coupe, but it’s still a very nice place to spend some time. 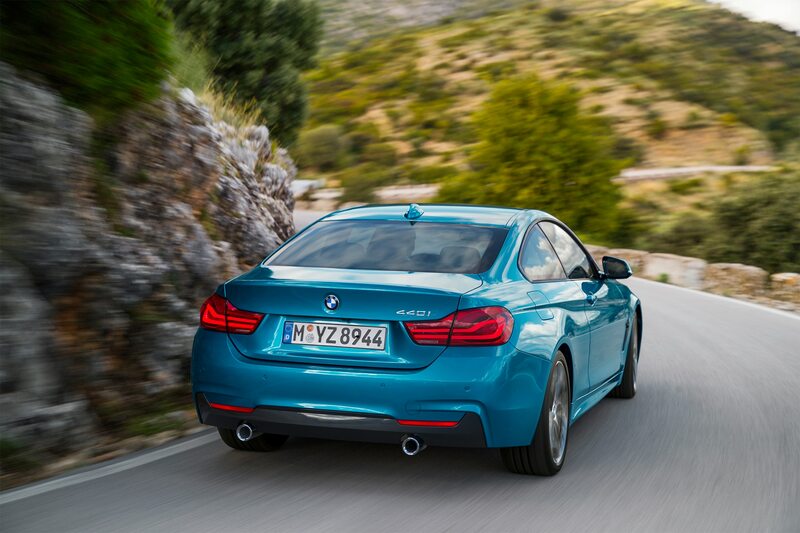 Sadly, our own time with the 440i Coupe is short but it leaves a lasting impression. 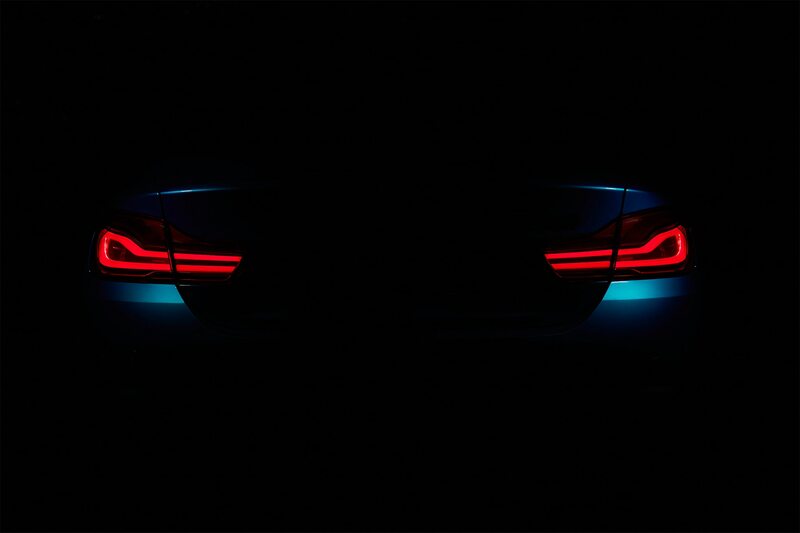 Perhaps it lacks the superhero speed and impregnability that so characterises the Audi S5 but, as ever, it’s a more tactile, fluid experience and it slowly but surely weaves its way into your affections. 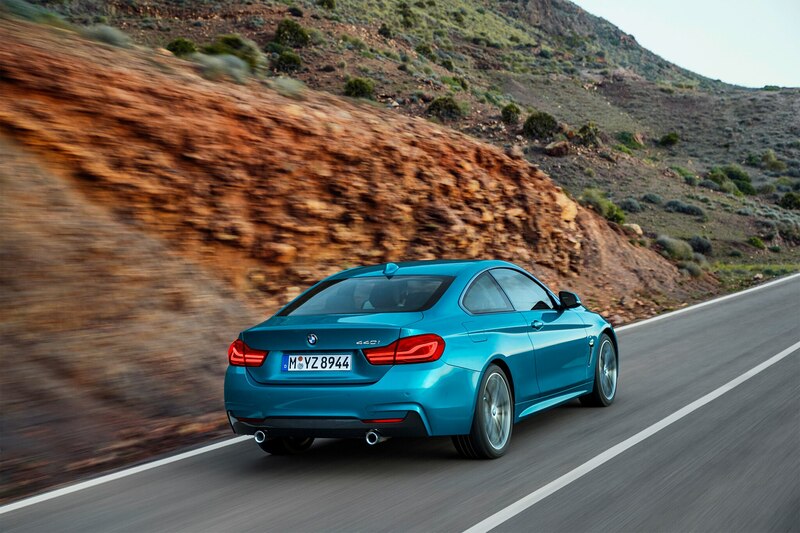 The only disappointment is that it leaves a gaping hole between its smoothly mannered gait and the rabid, sometimes unruly character of the M4. 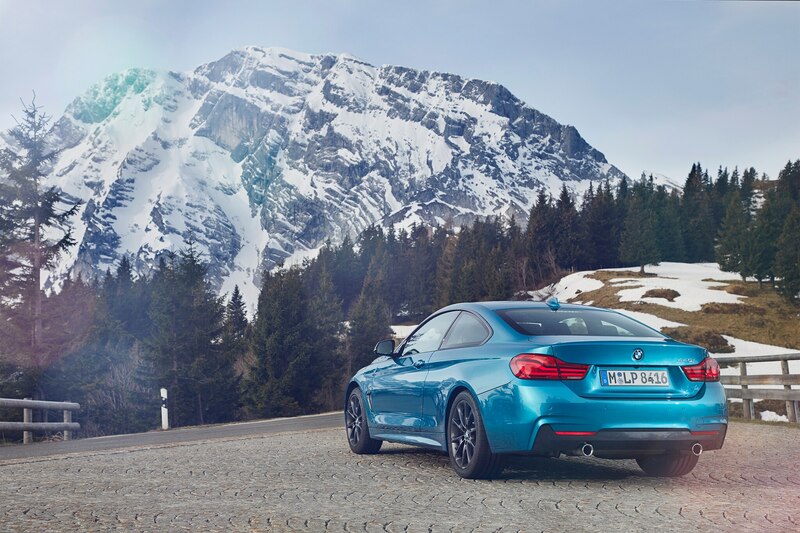 I guess the Audi S5 feels just sub-RS in its performance, attitude and sound, but the 440i Coupe can often seem more 430i-Plus than junior M4. 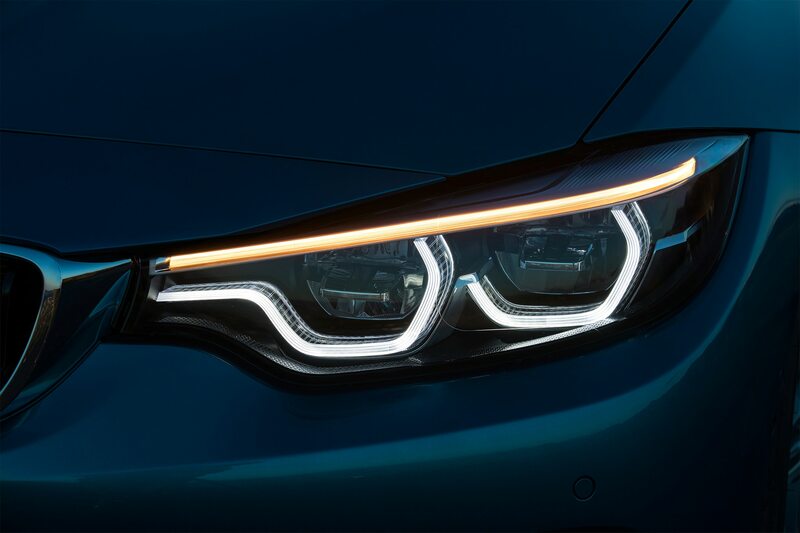 A little sharper, a little stiffer, and fitted with fancy new LEDs, it’s the quintessential model refresh.